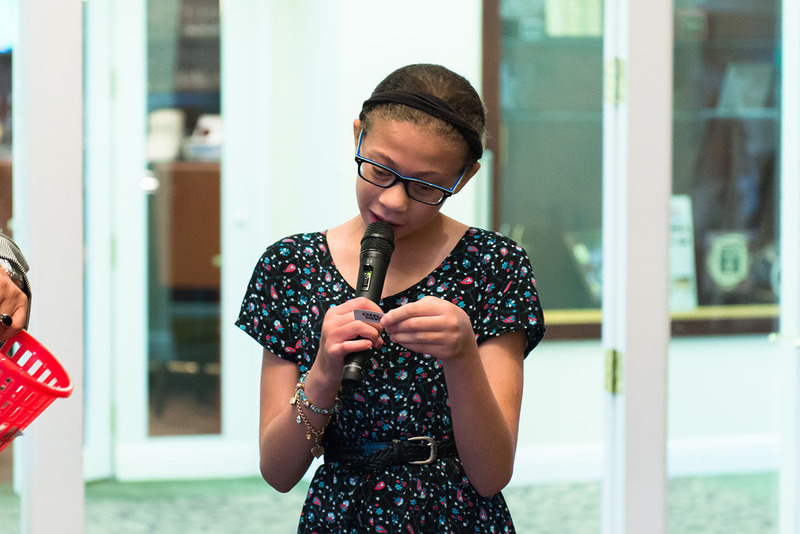 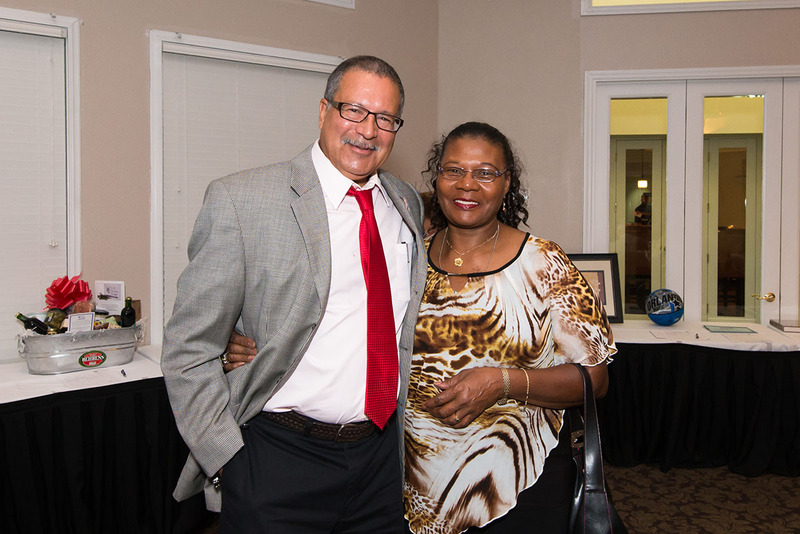 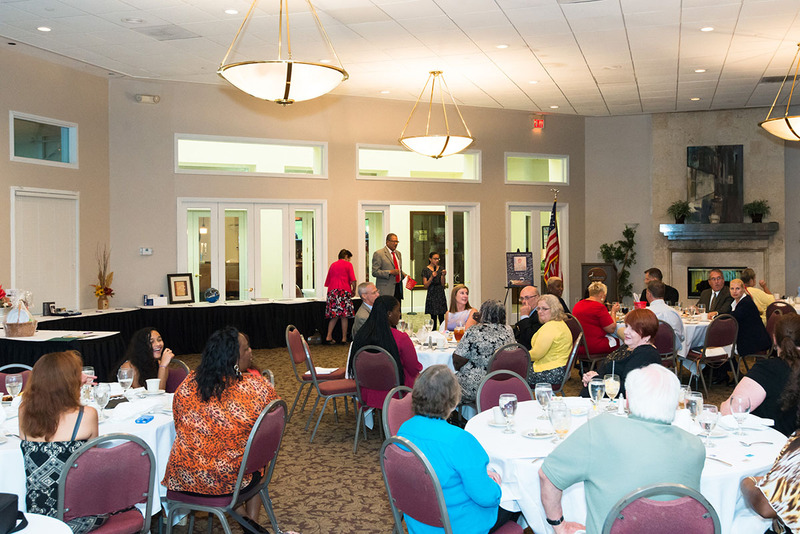 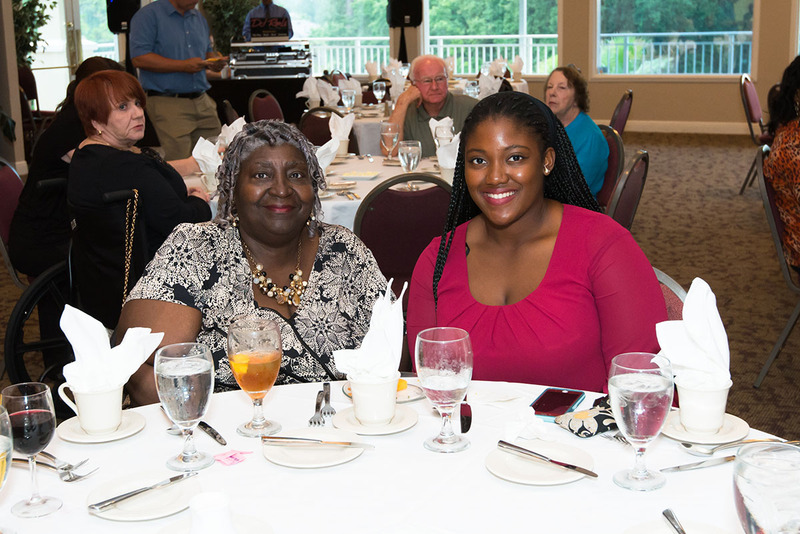 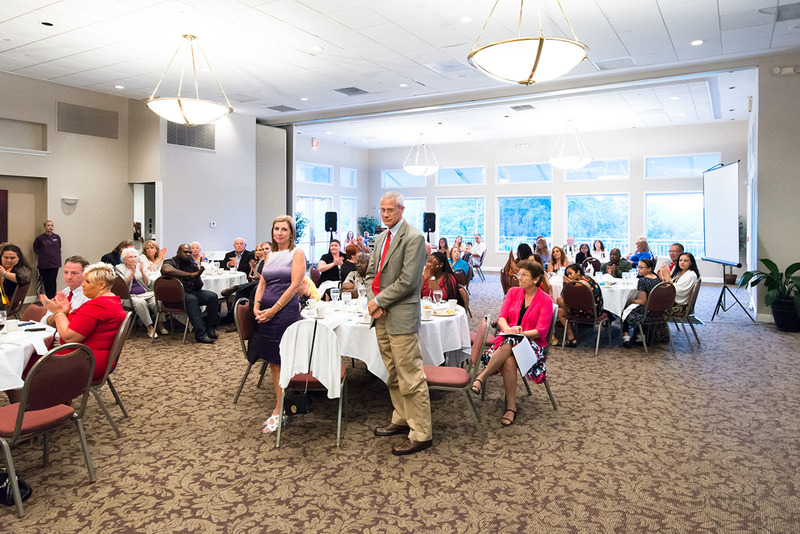 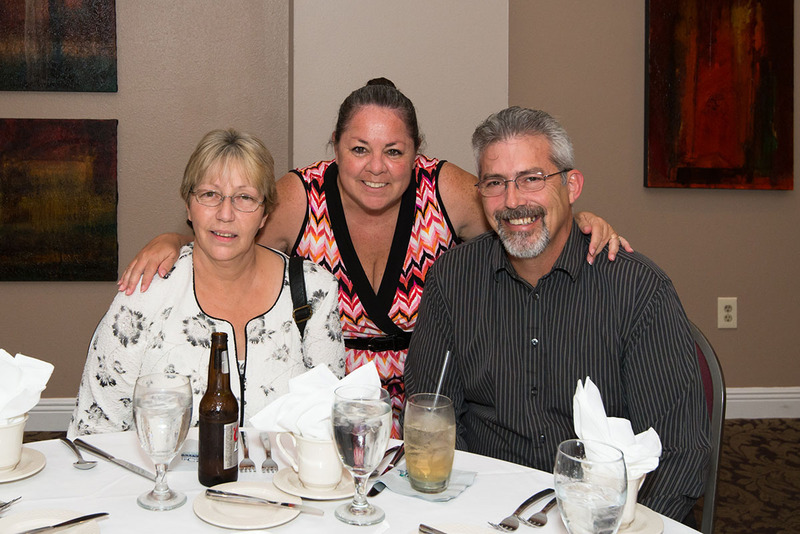 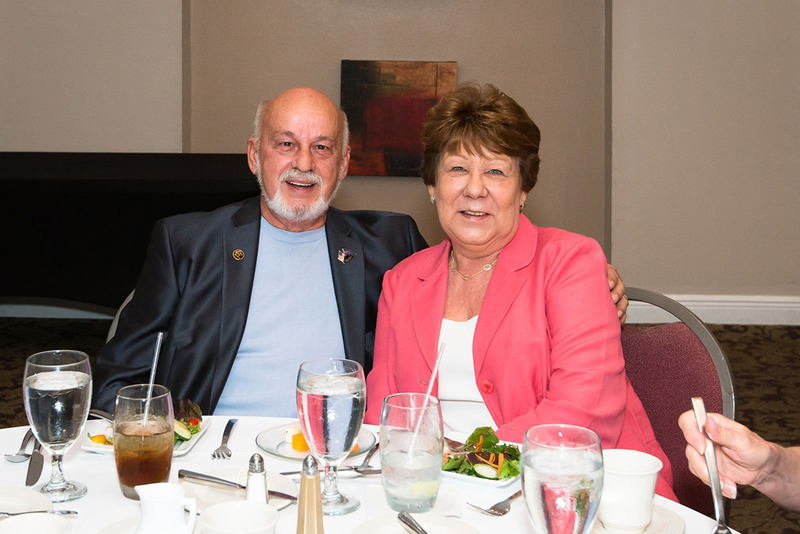 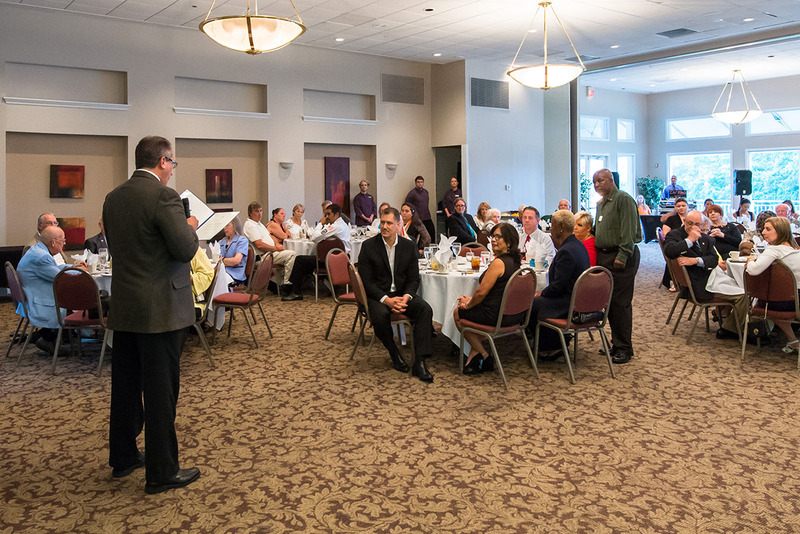 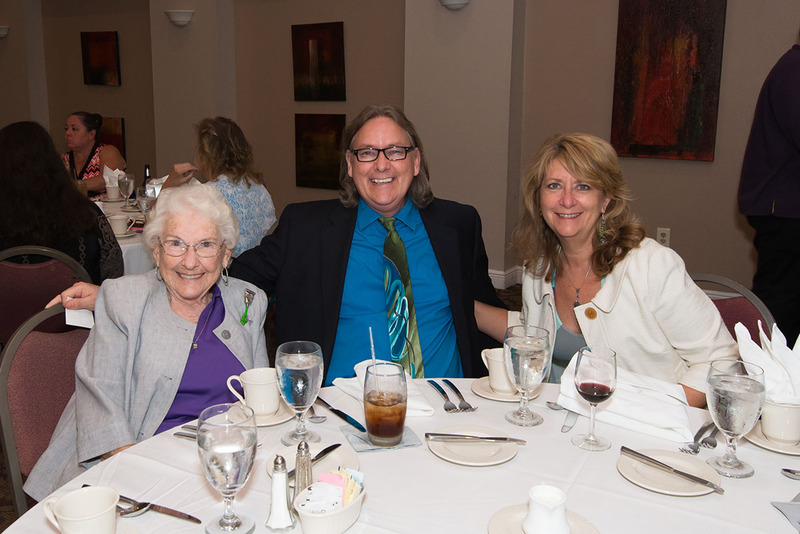 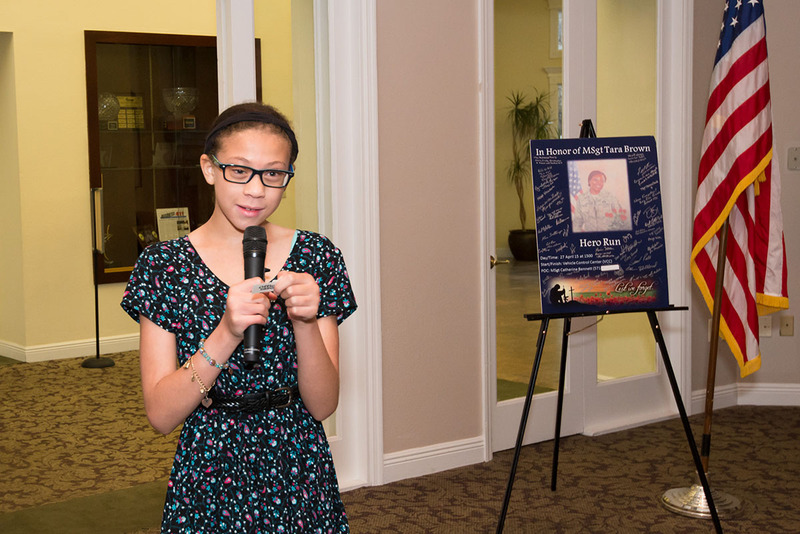 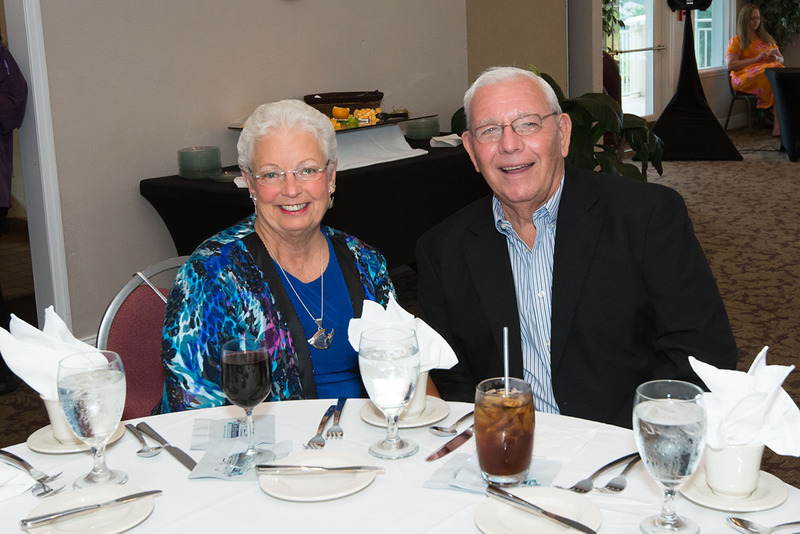 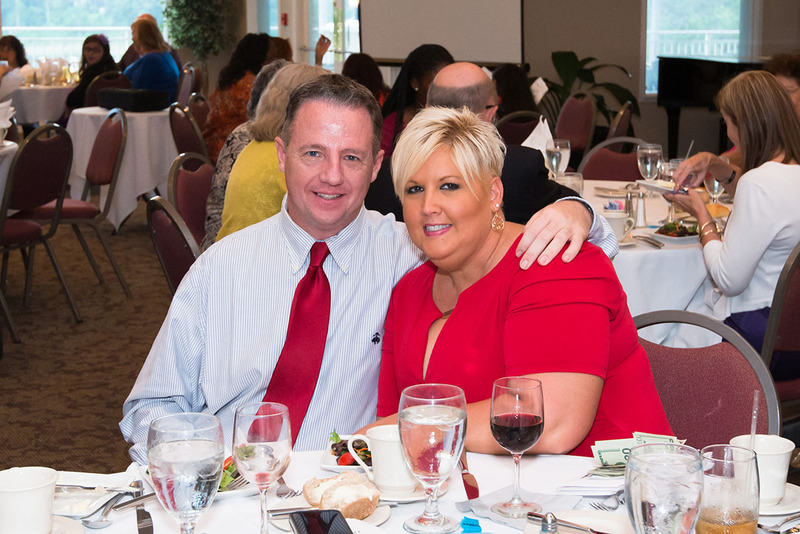 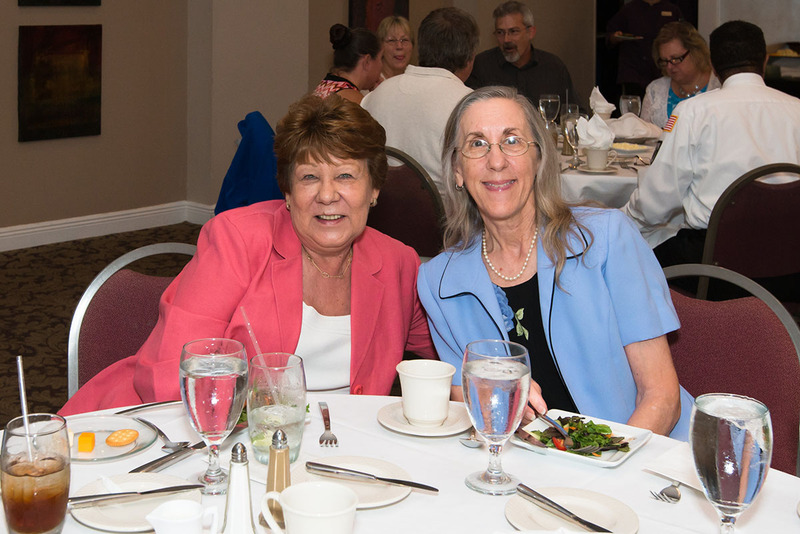 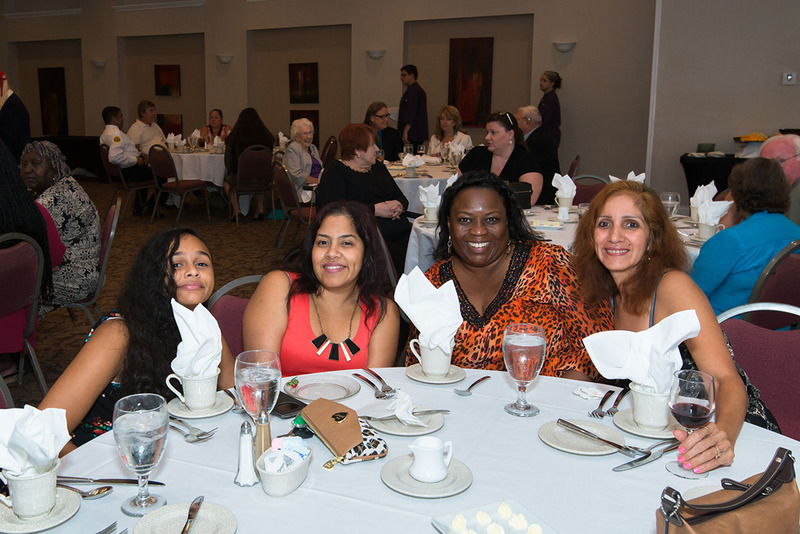 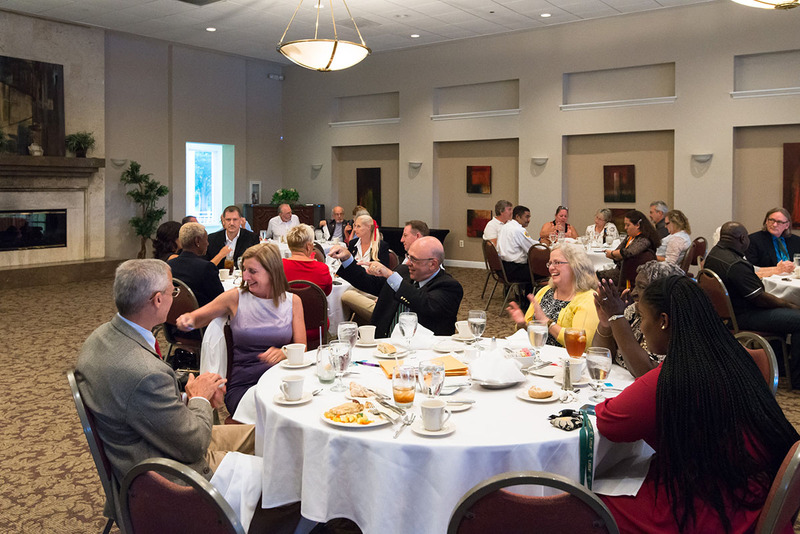 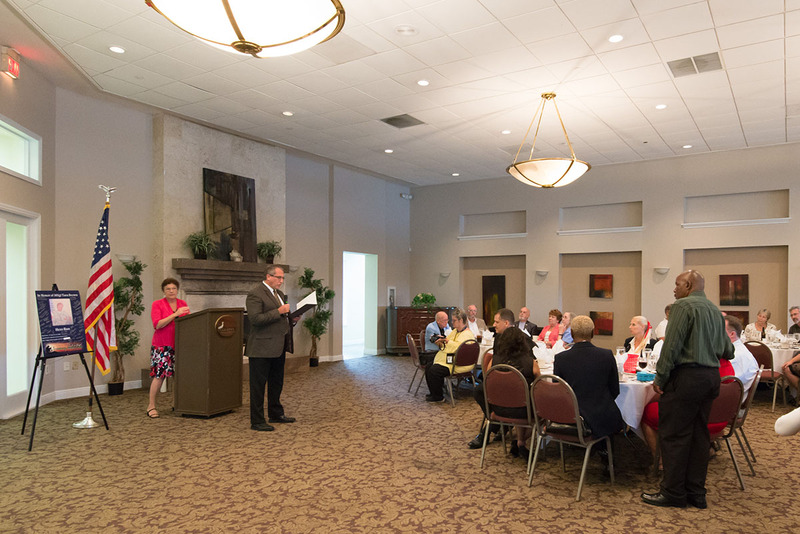 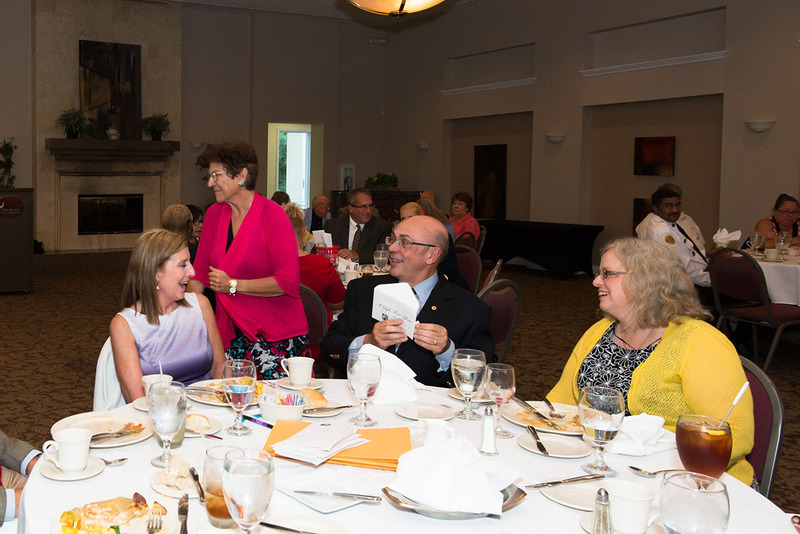 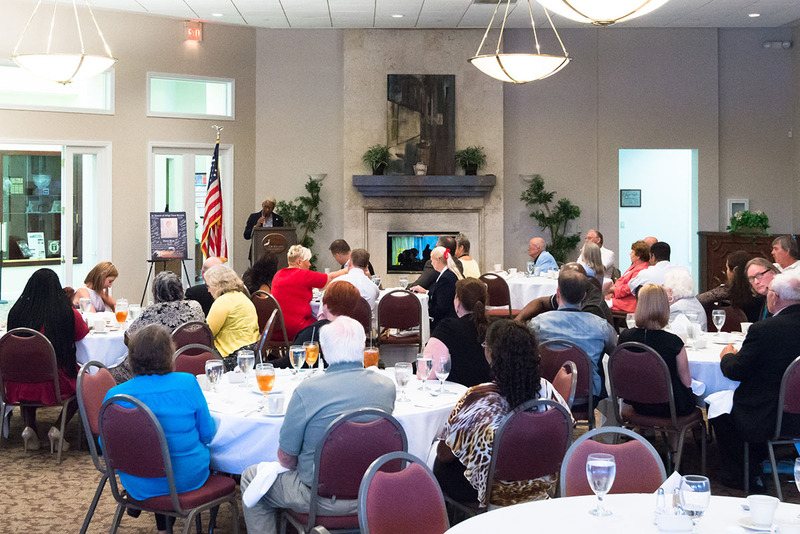 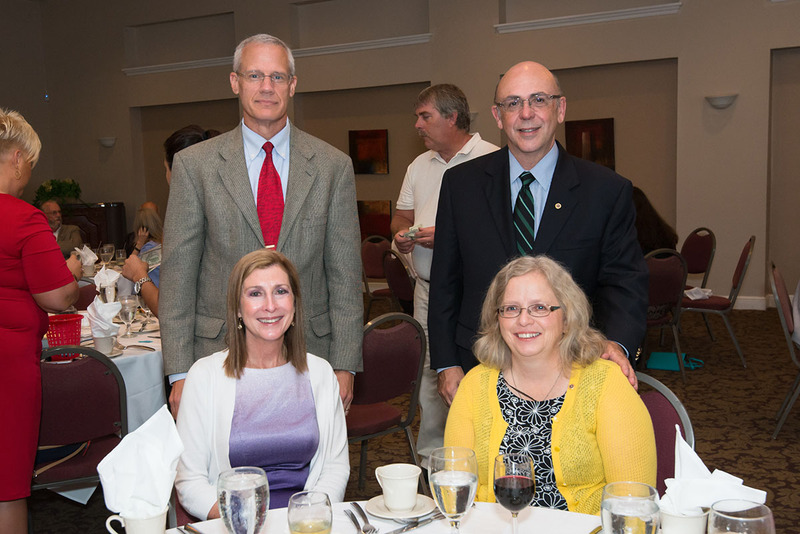 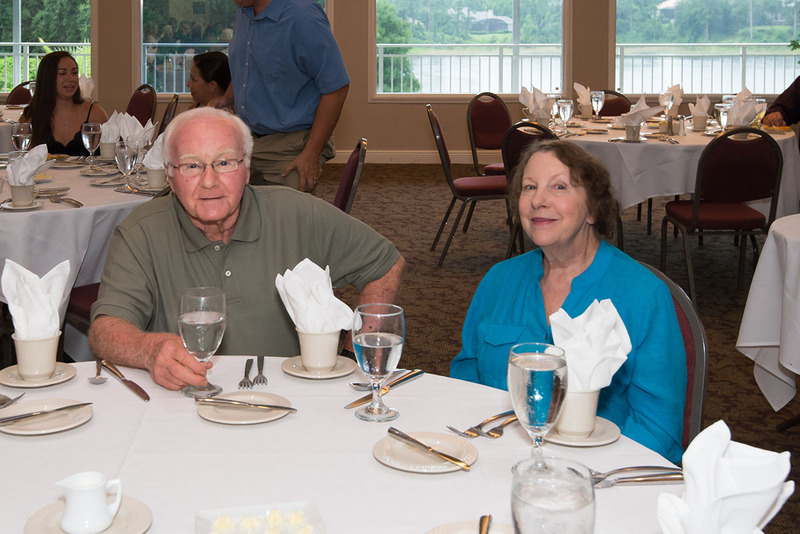 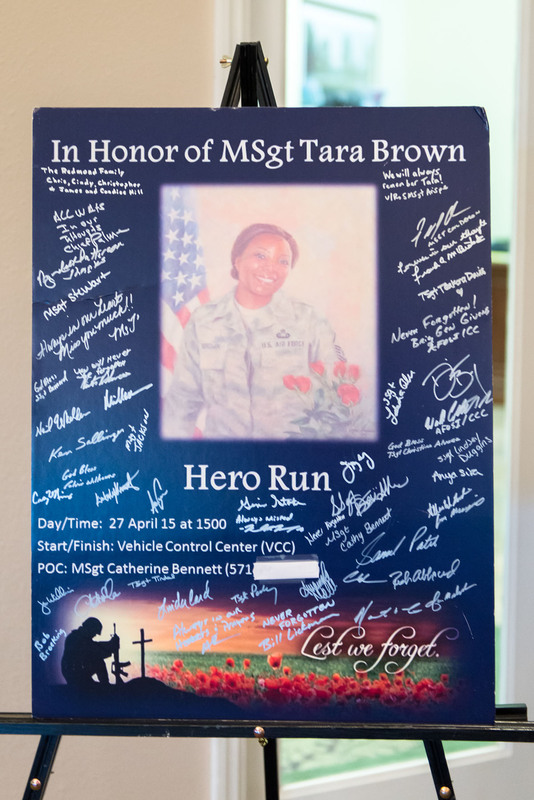 The 2015 Tara Jacobs Brown Tribute Banquet was a huge success. 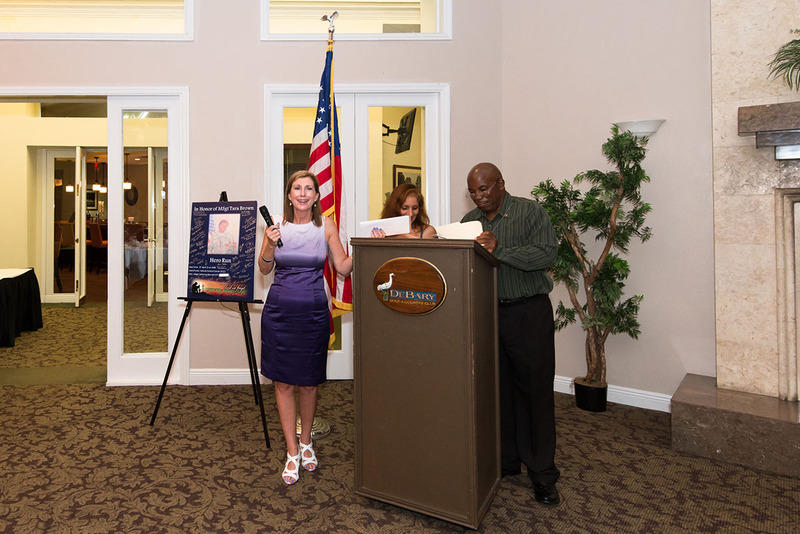 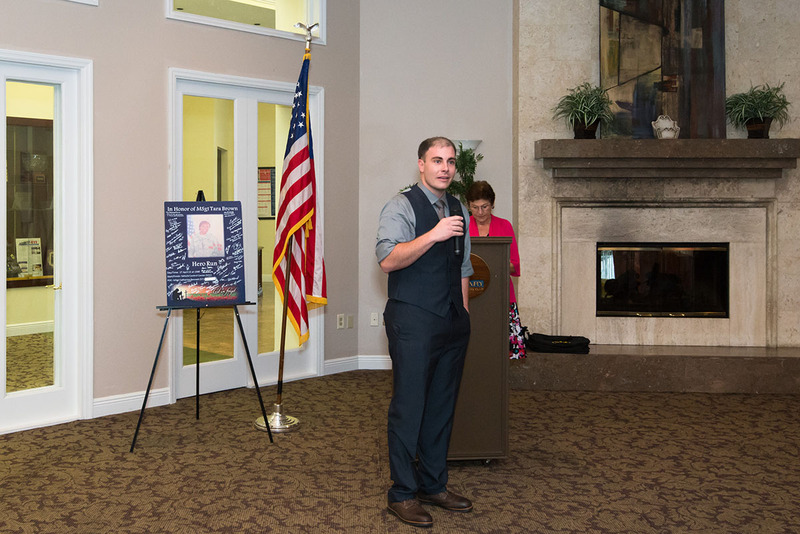 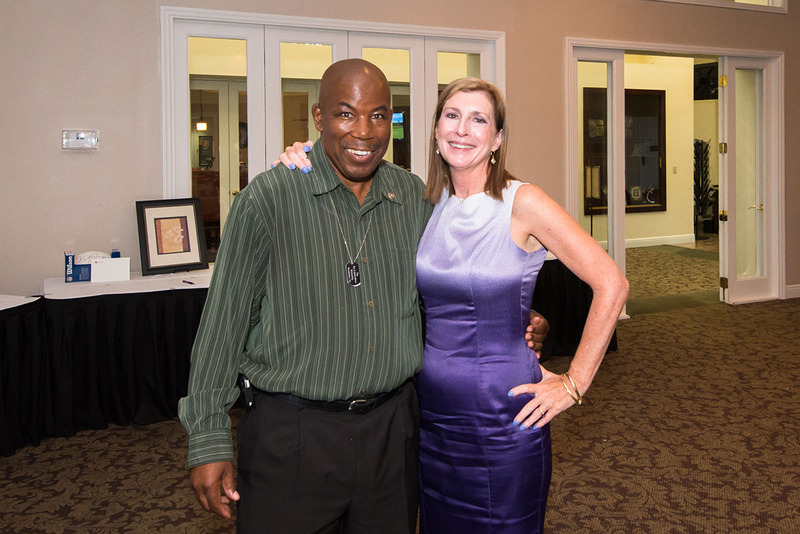 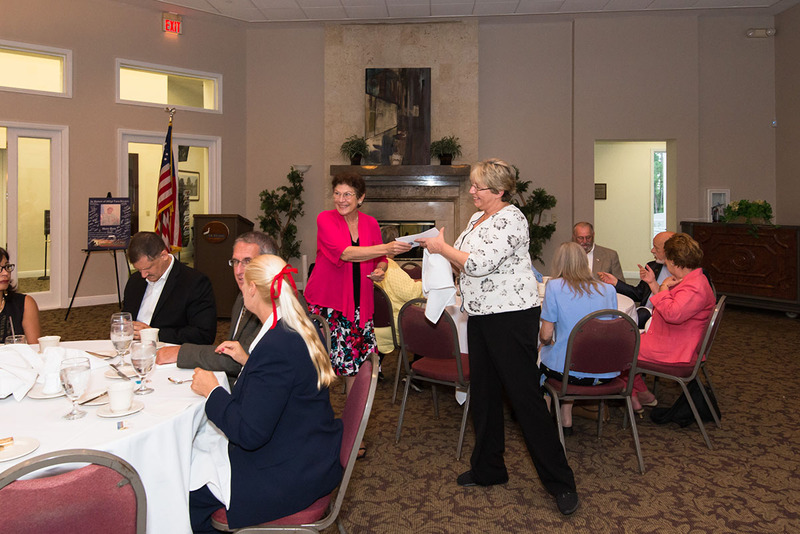 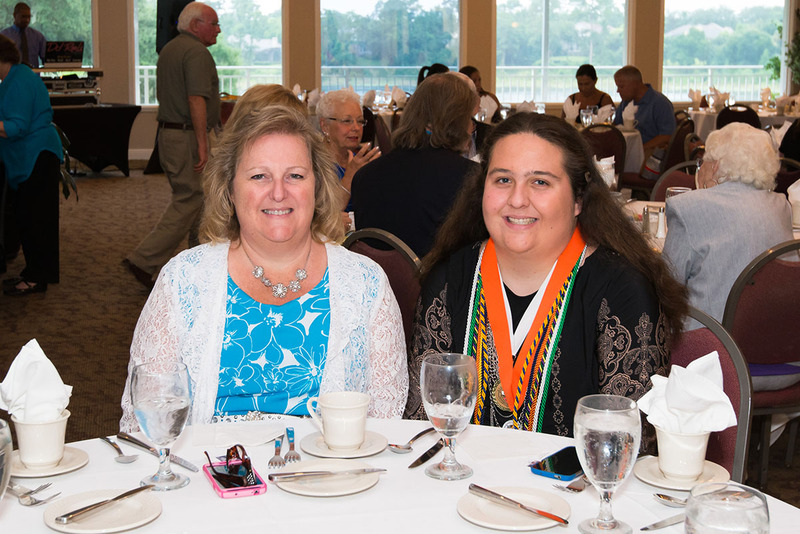 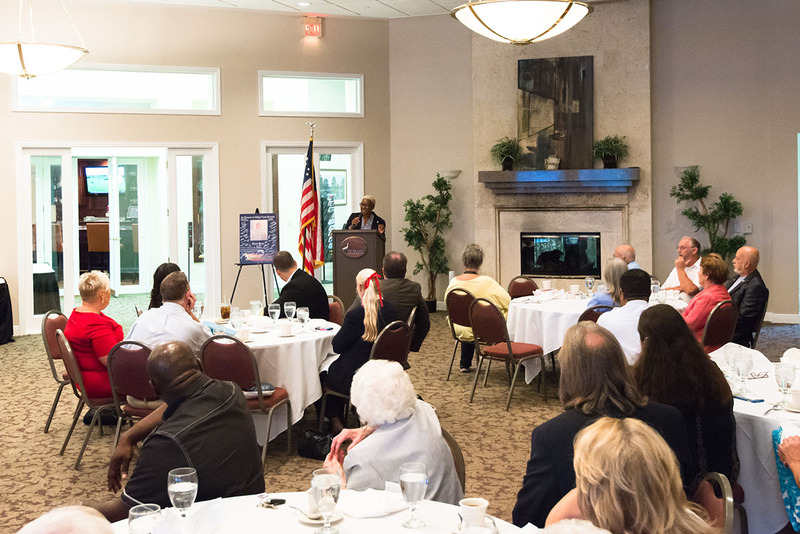 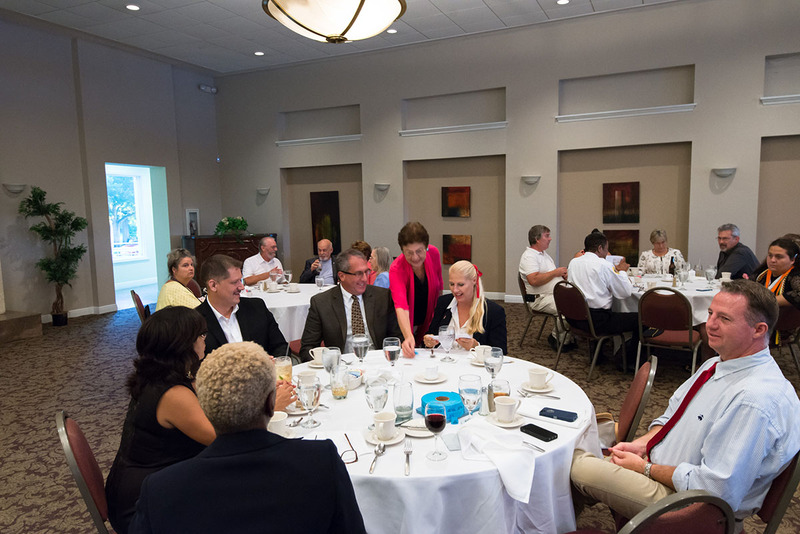 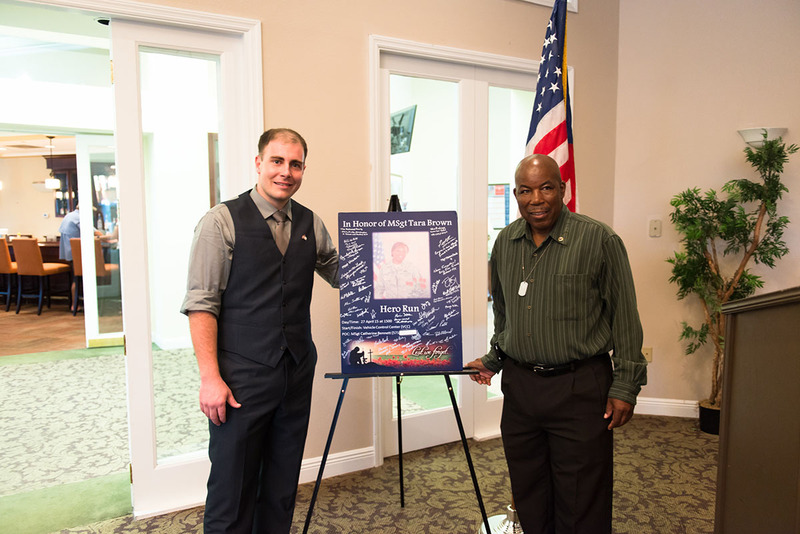 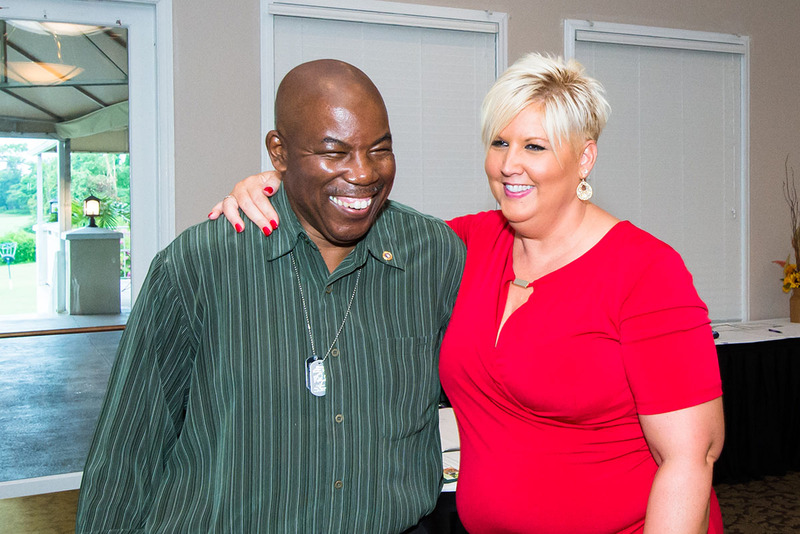 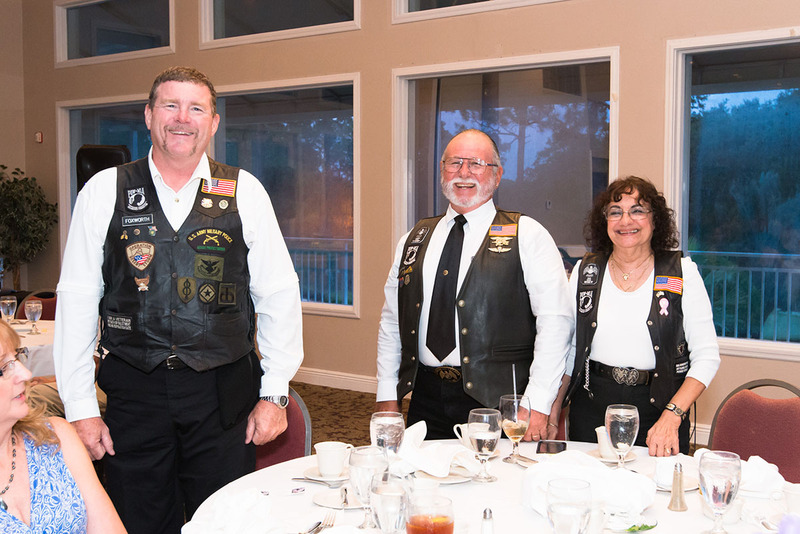 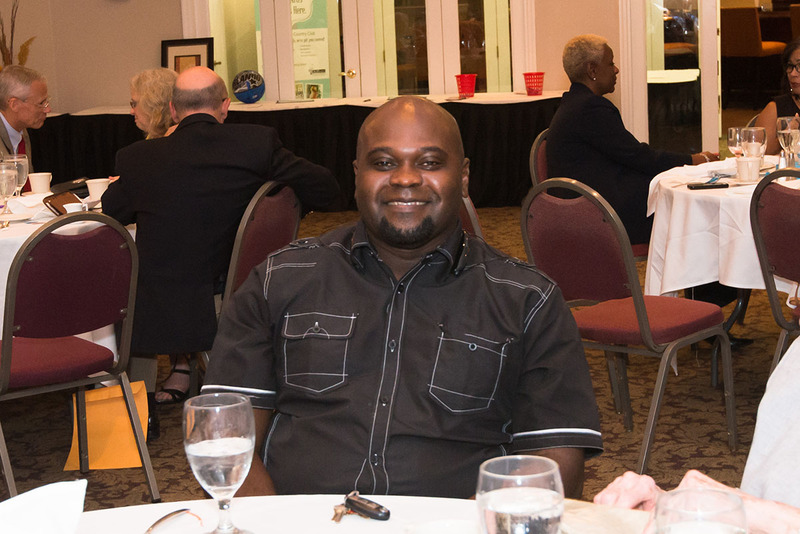 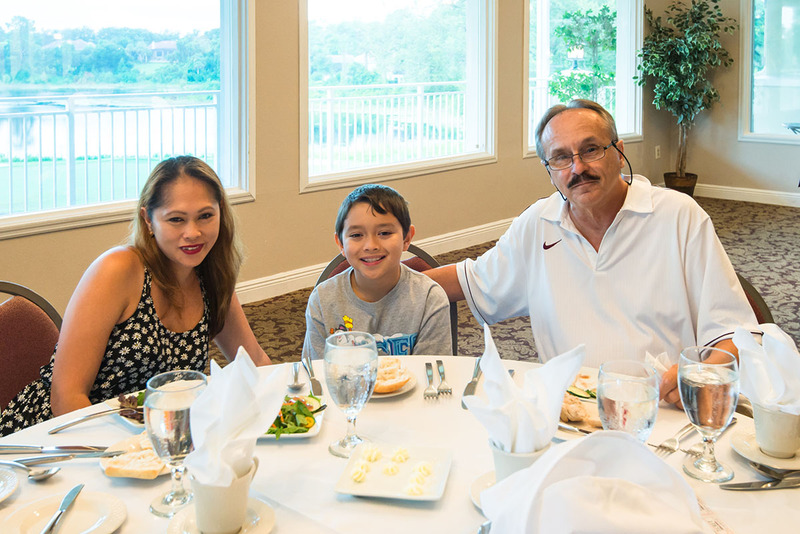 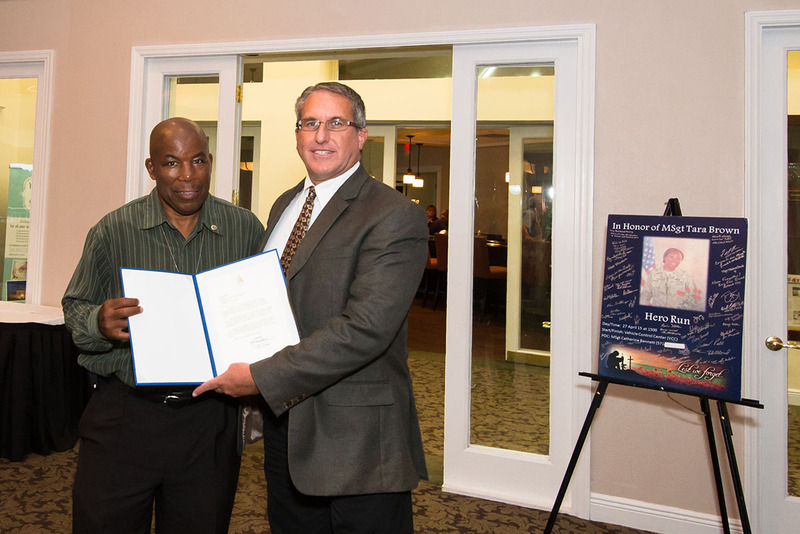 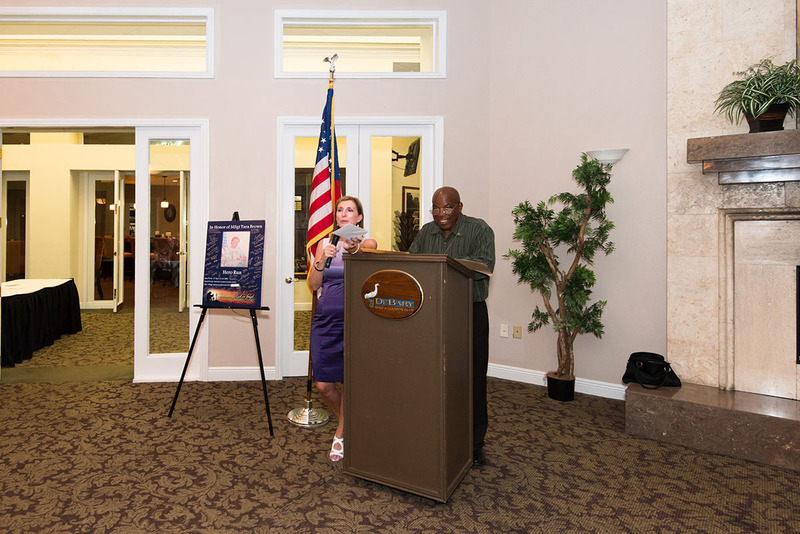 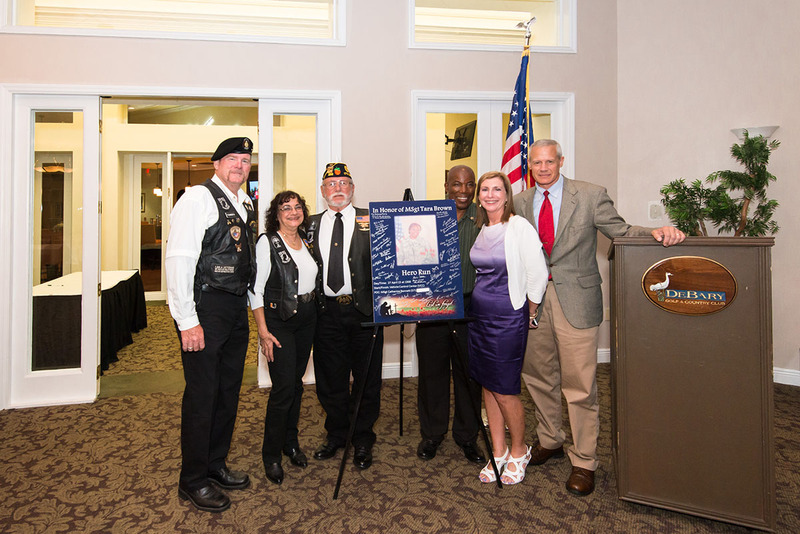 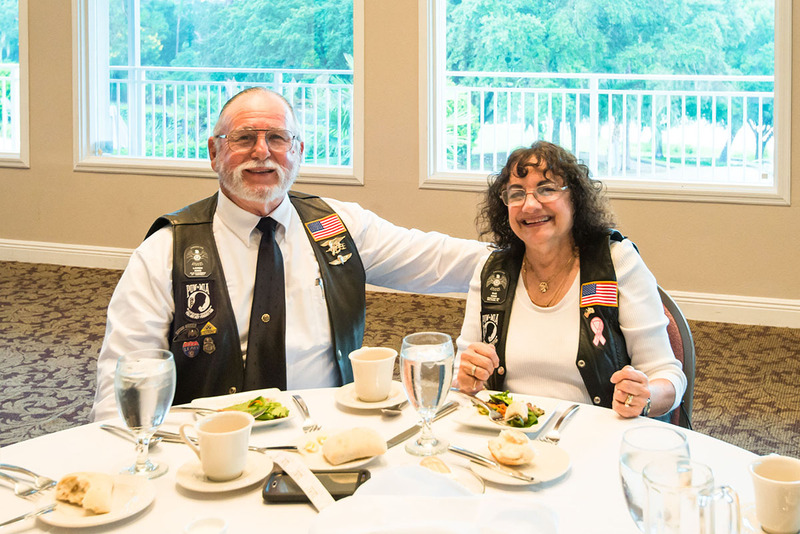 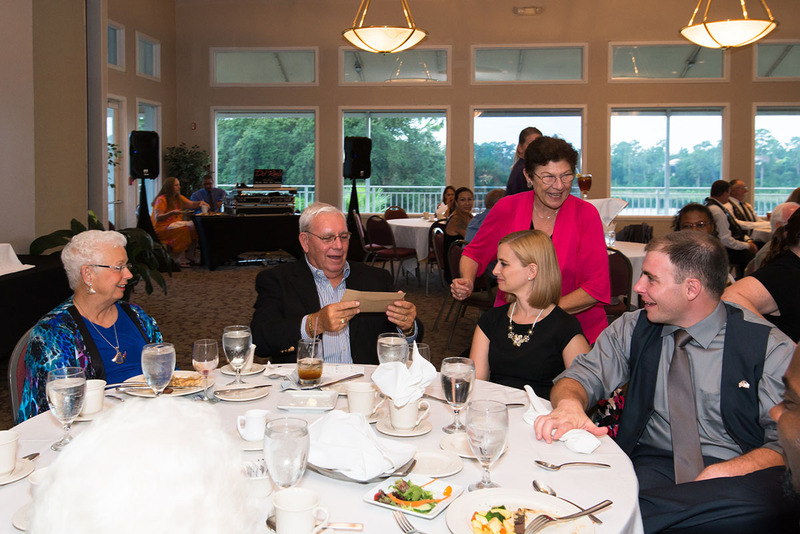 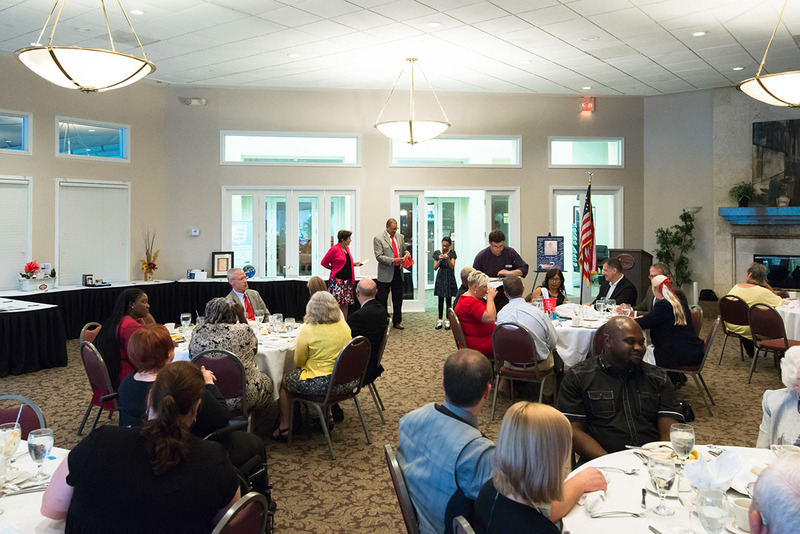 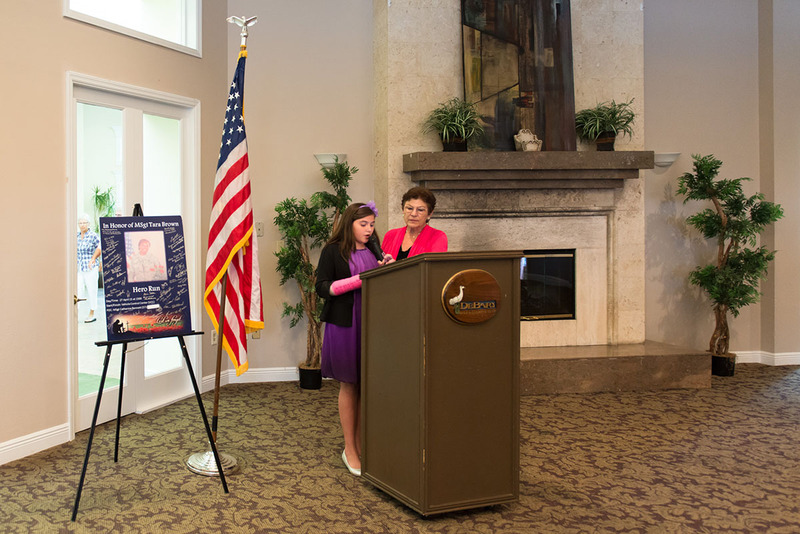 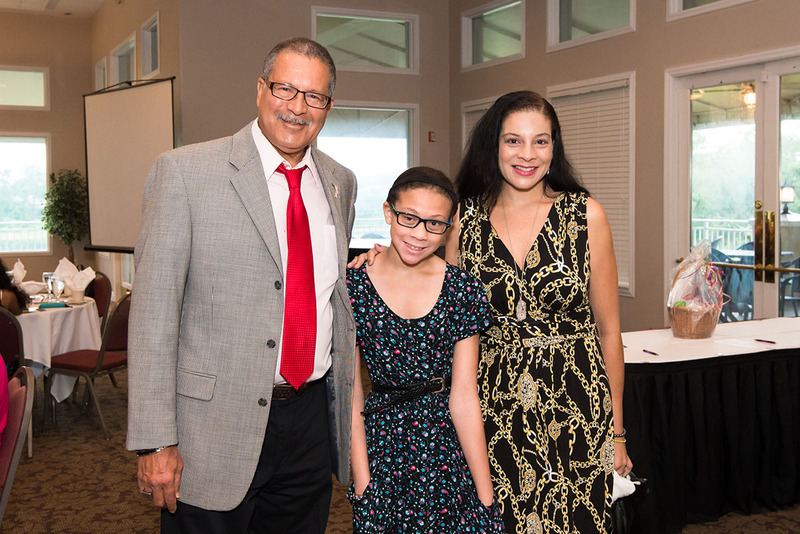 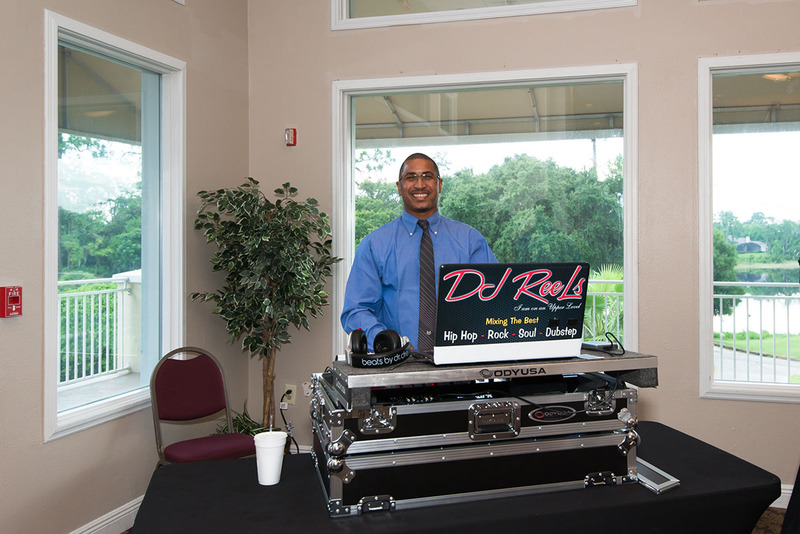 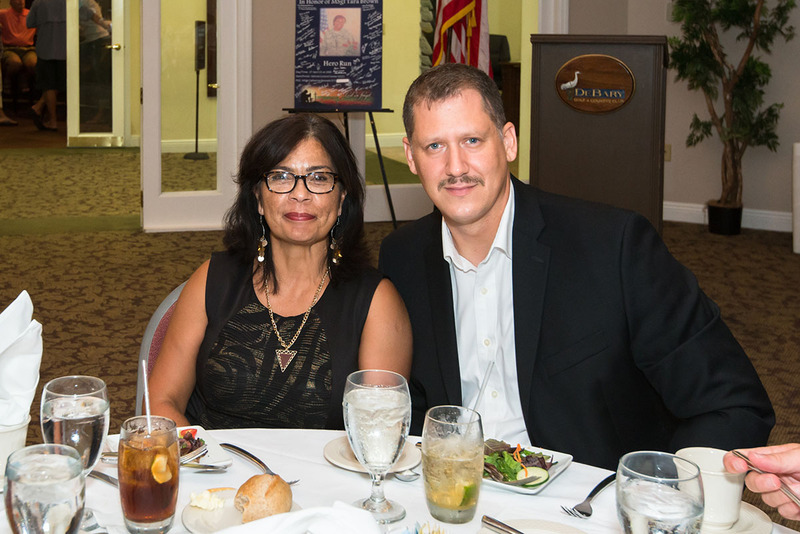 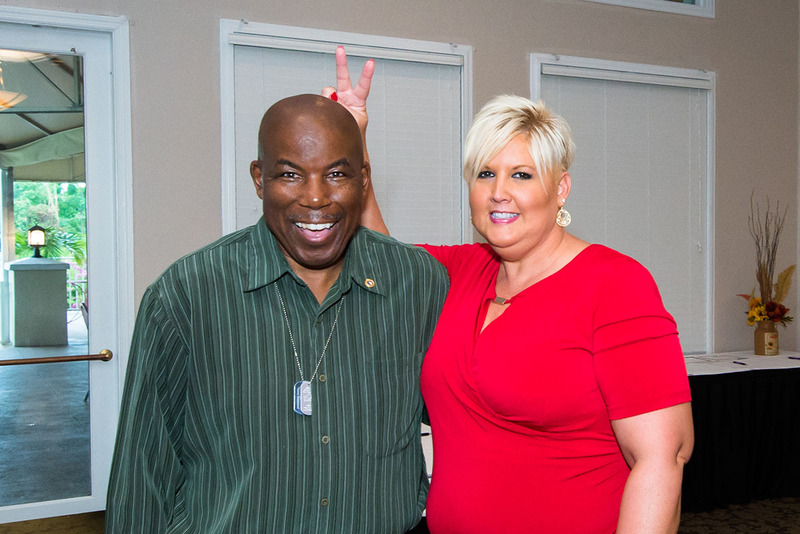 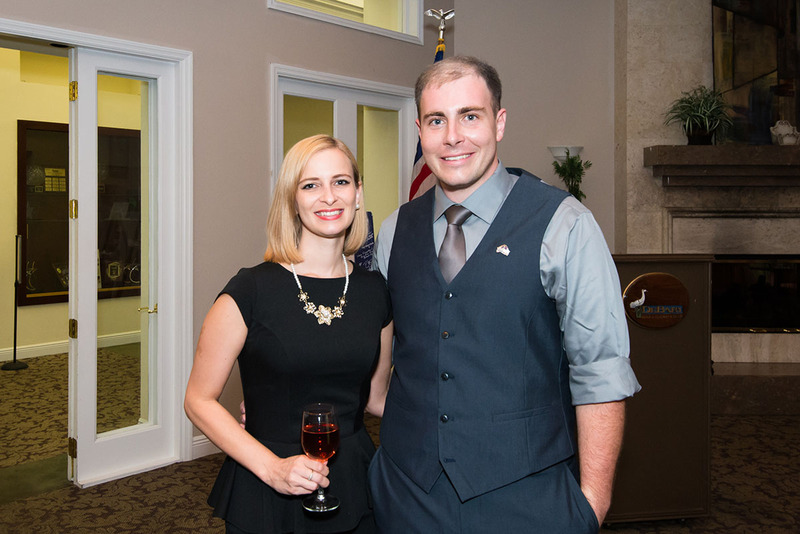 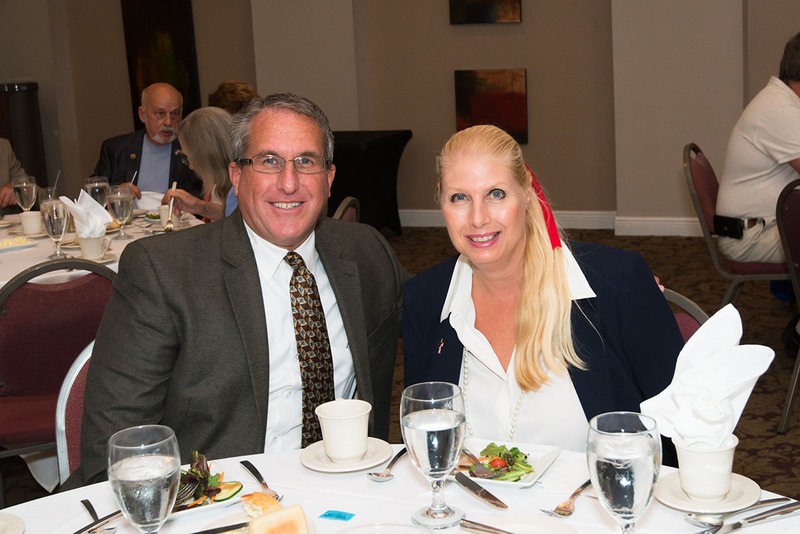 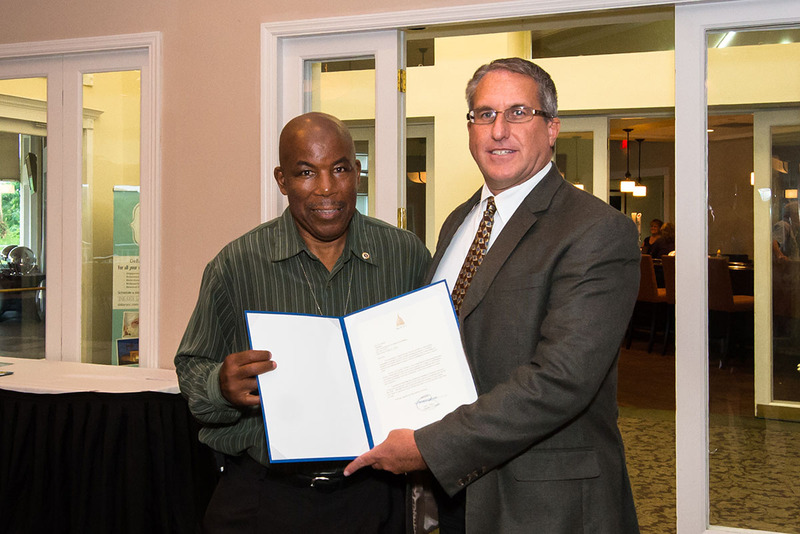 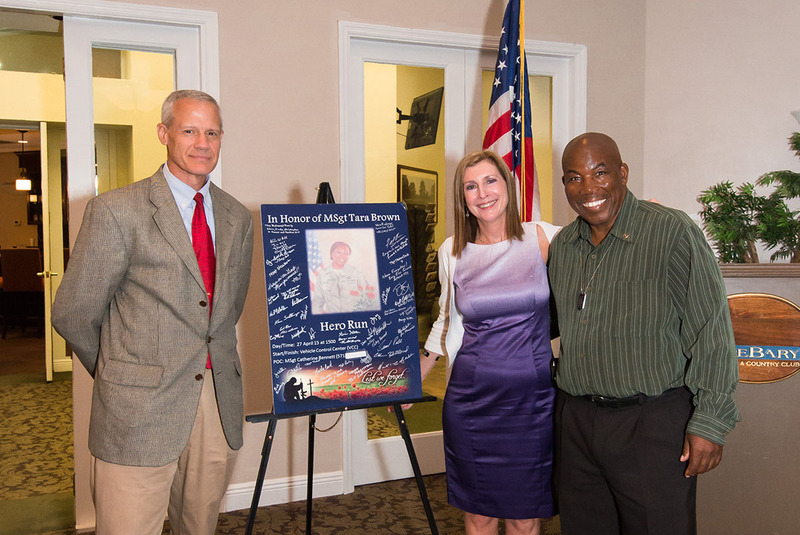 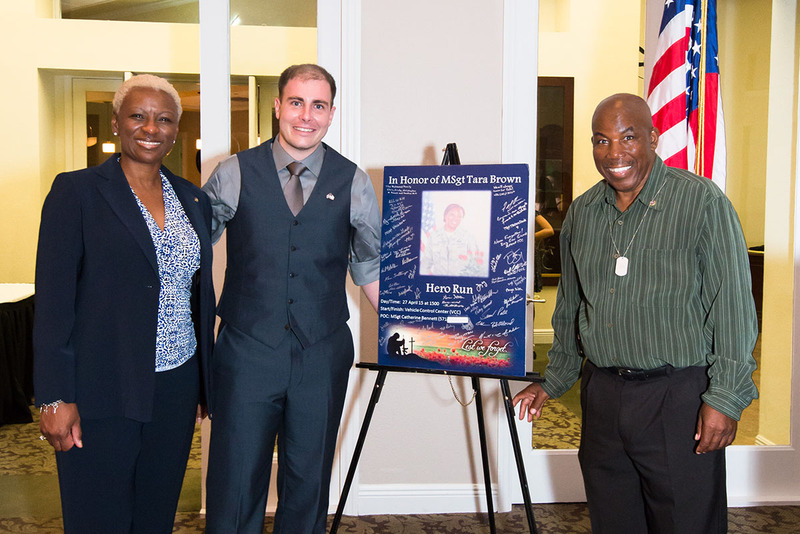 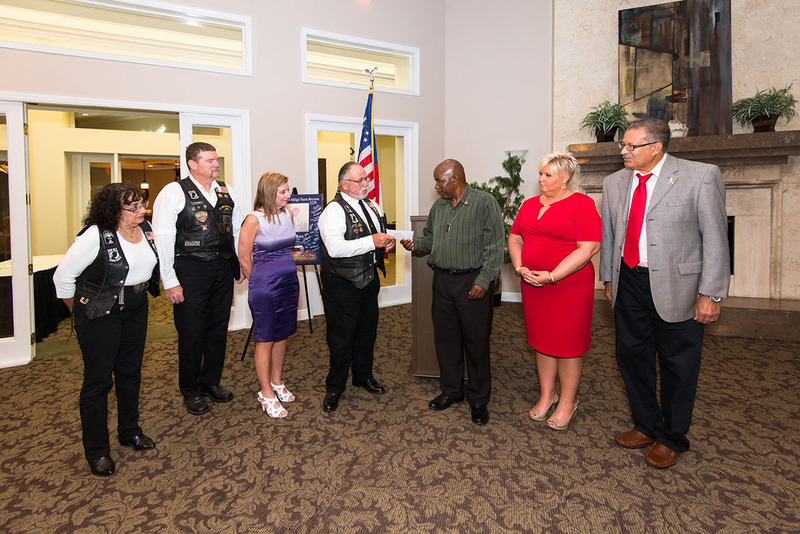 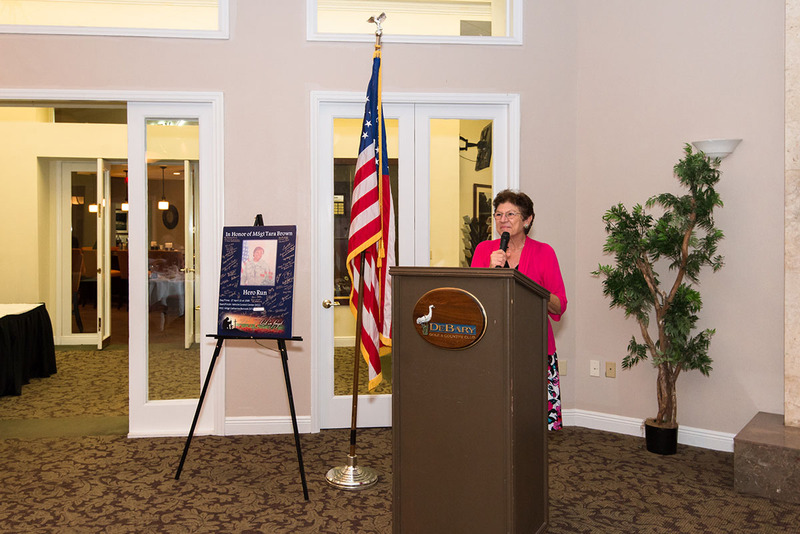 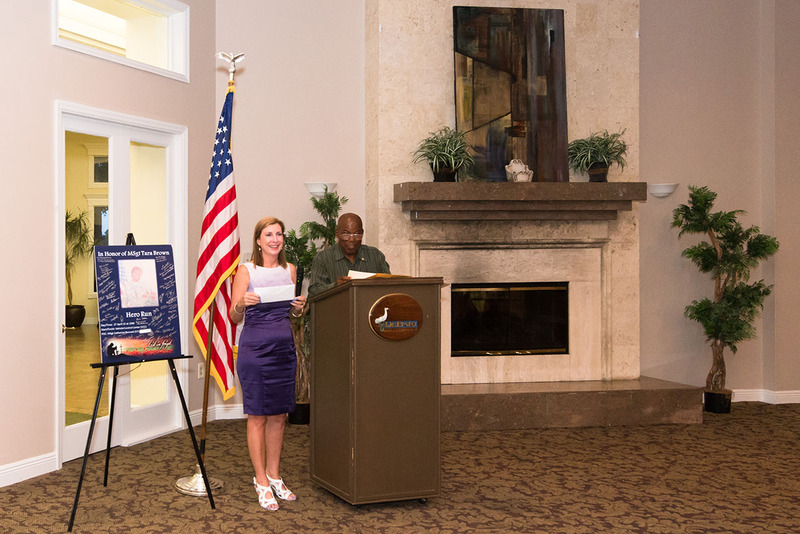 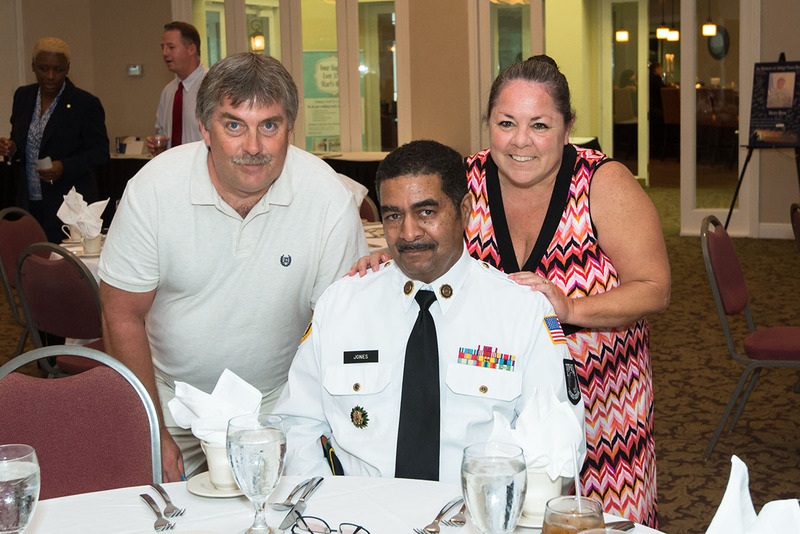 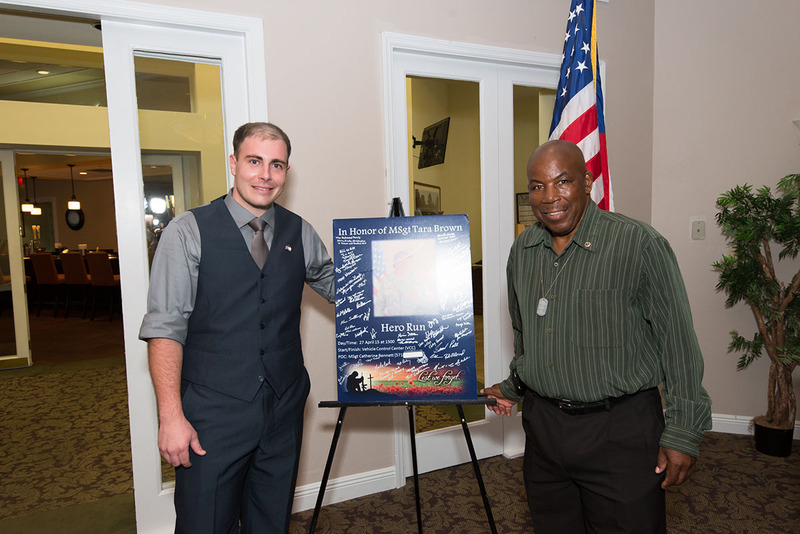 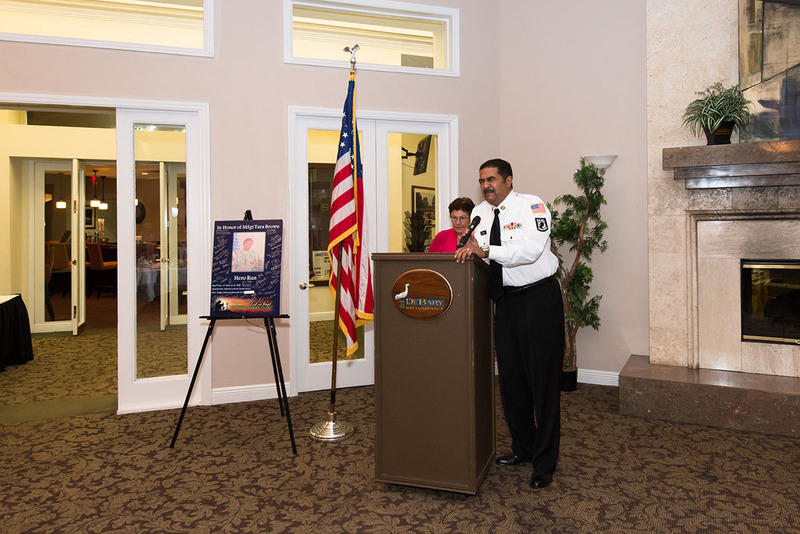 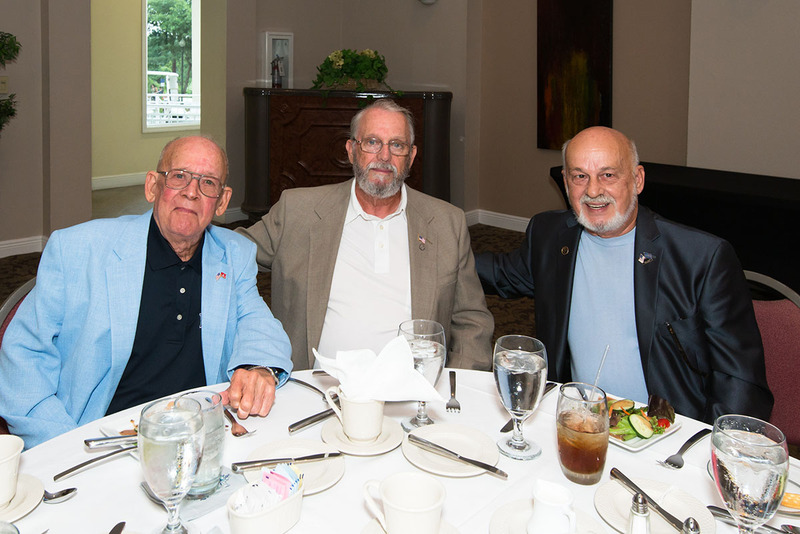 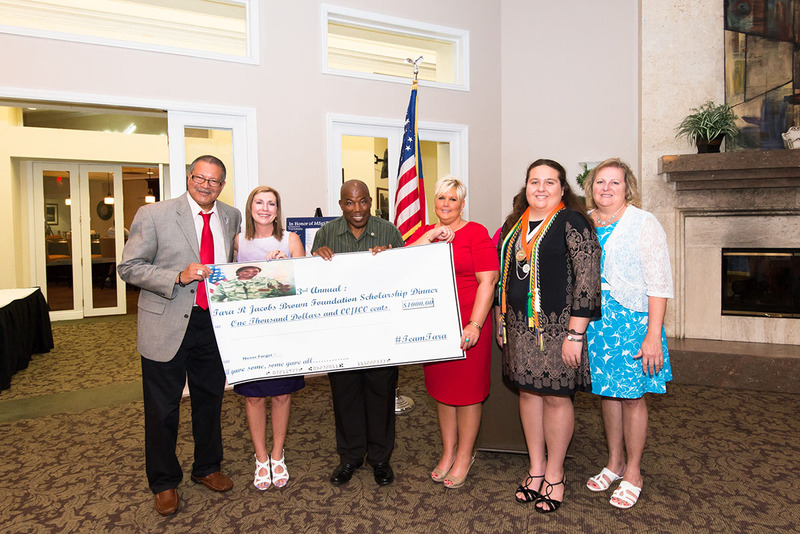 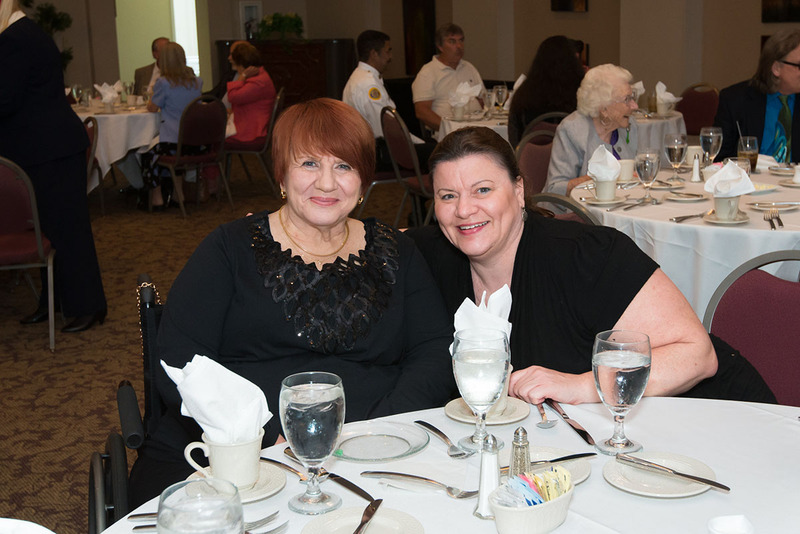 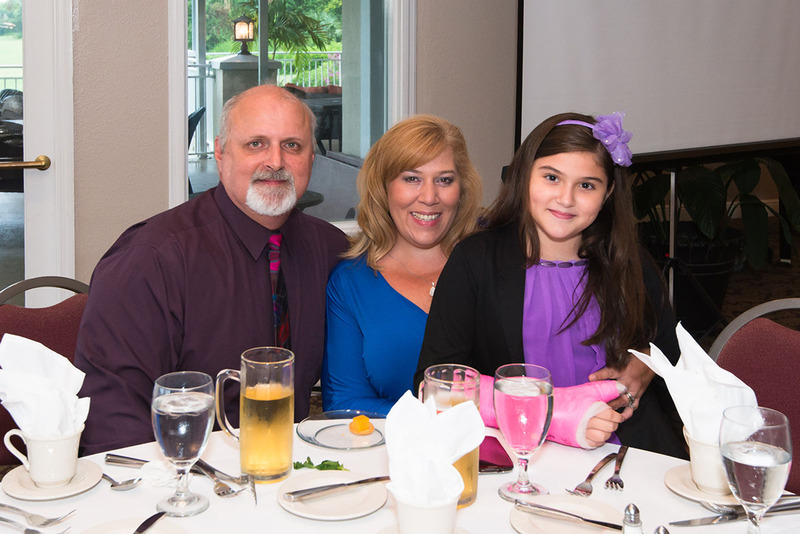 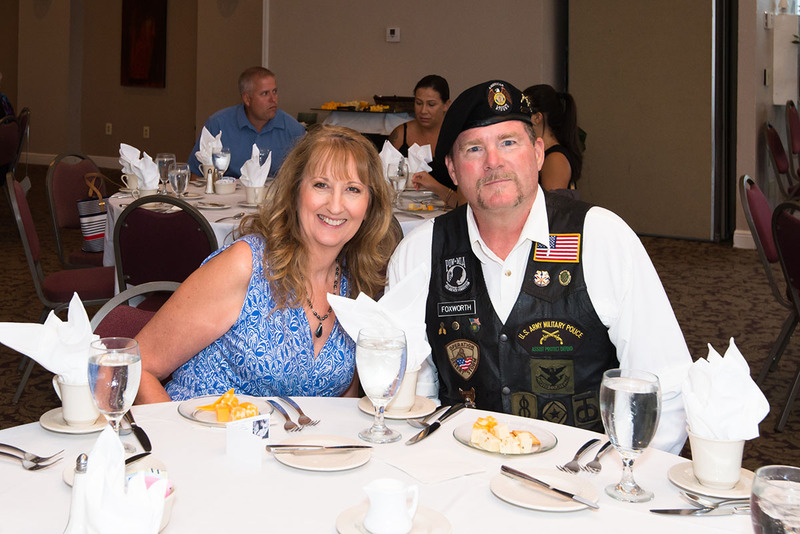 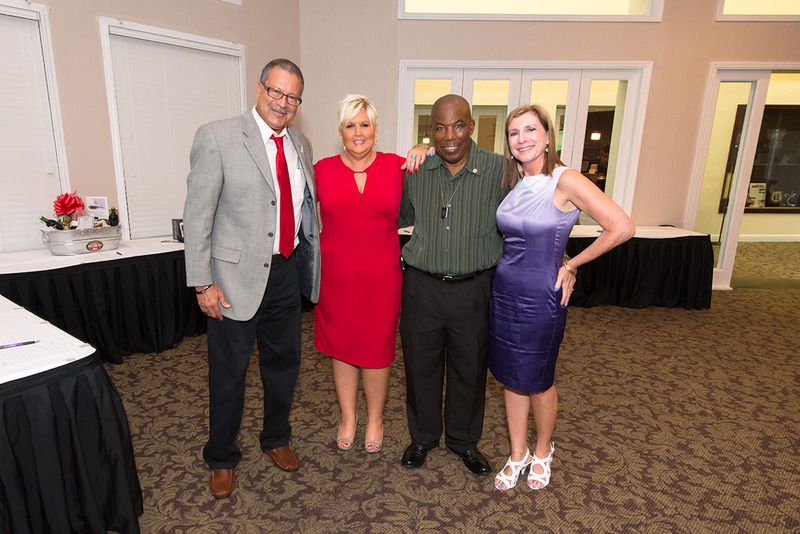 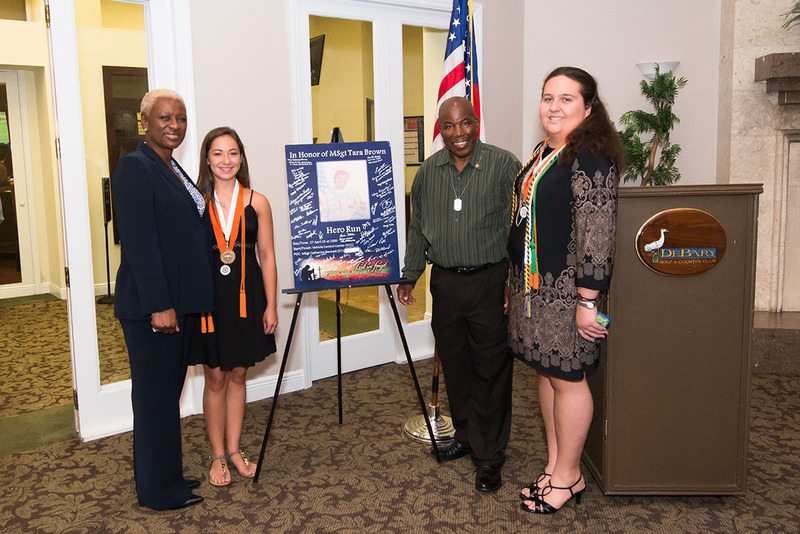 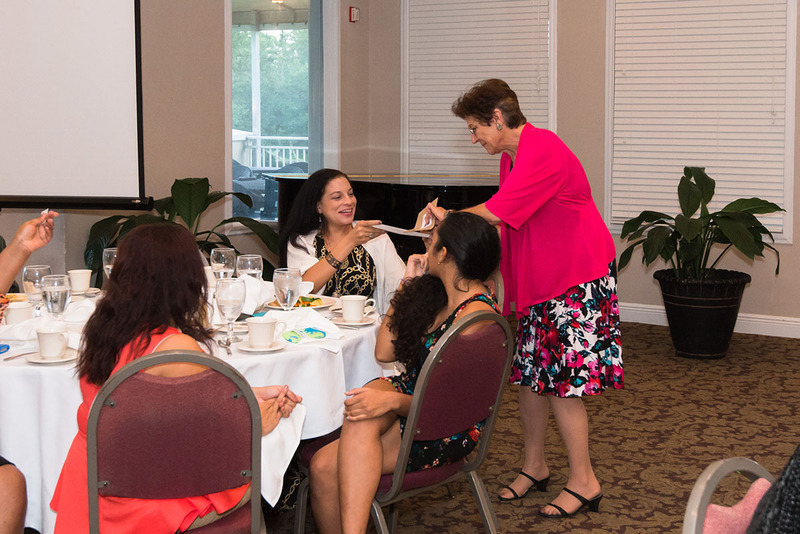 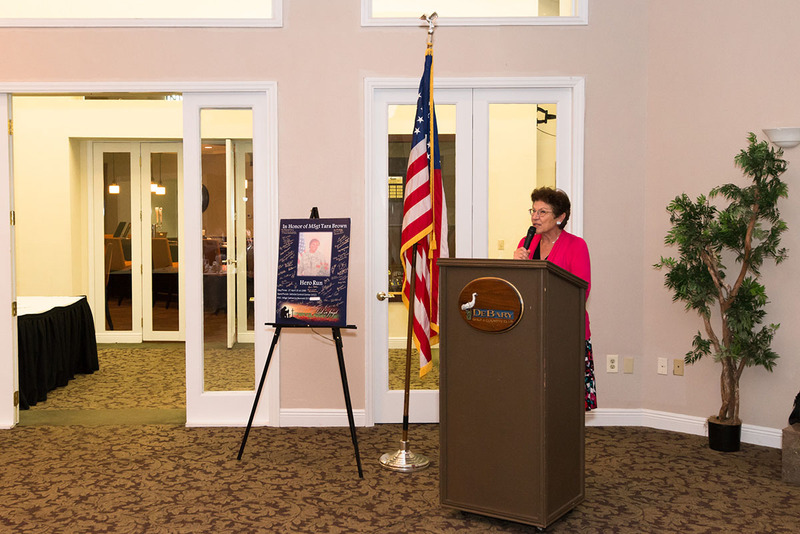 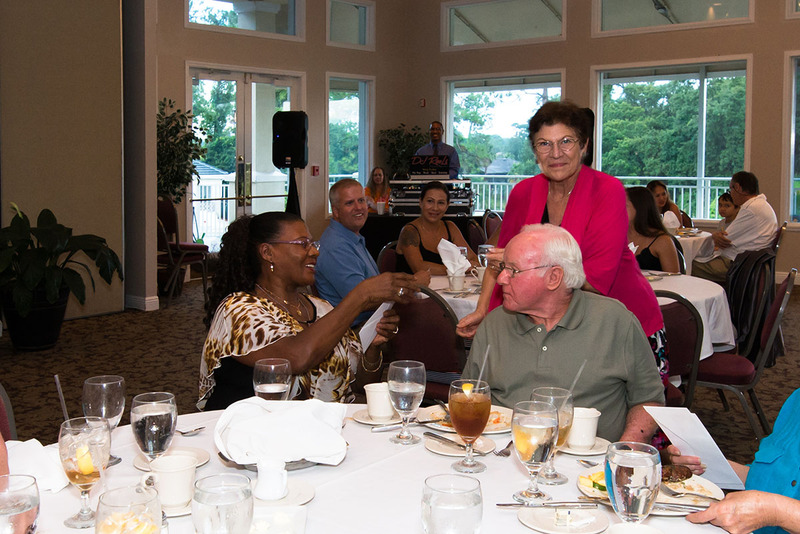 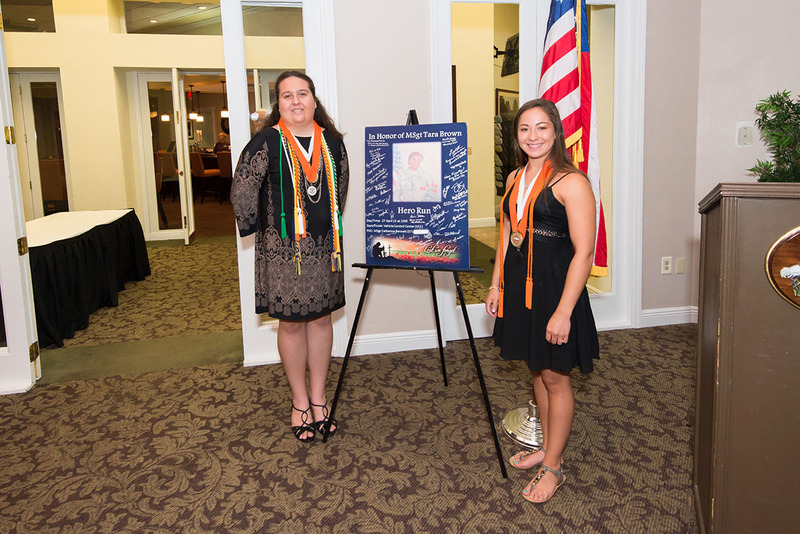 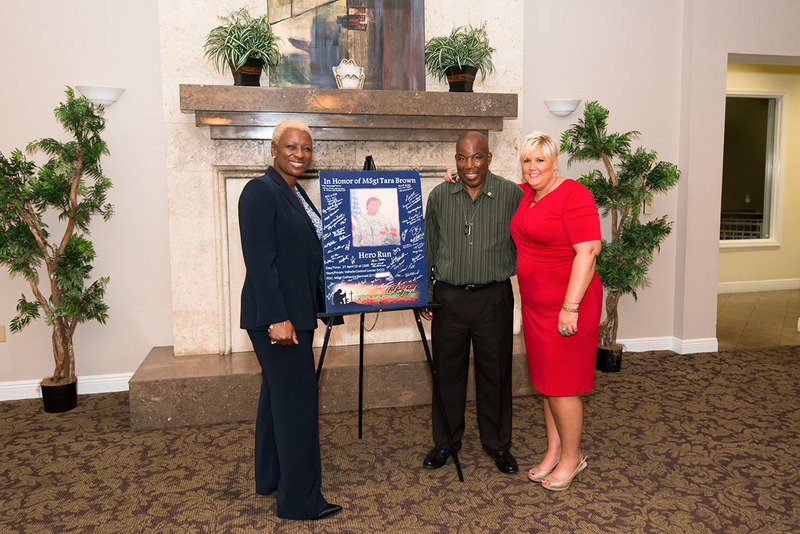 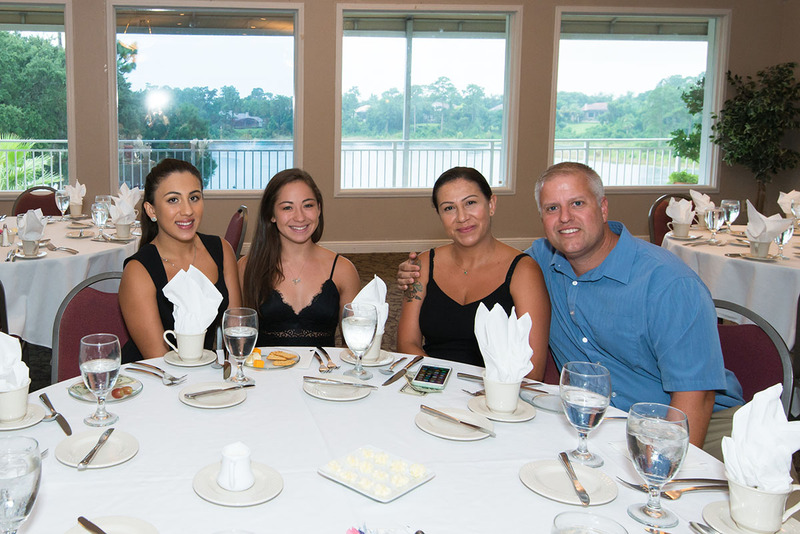 The event at DeBary Golf & Country Club was attended by the friends and family of Master Sergeant Tara J. 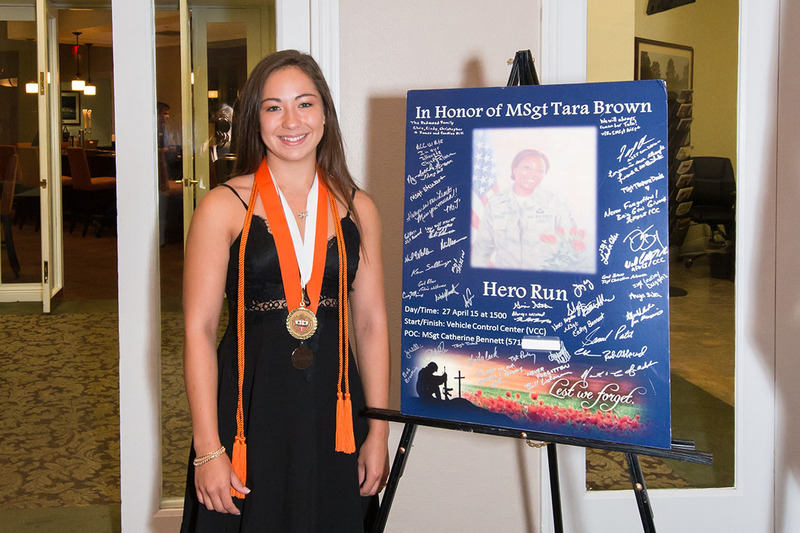 Brown as well as dignitaries, sponsors and patrons, as two exemplary high school seniors and their families were honored with the presentation of college scholarships in Tara’s name. 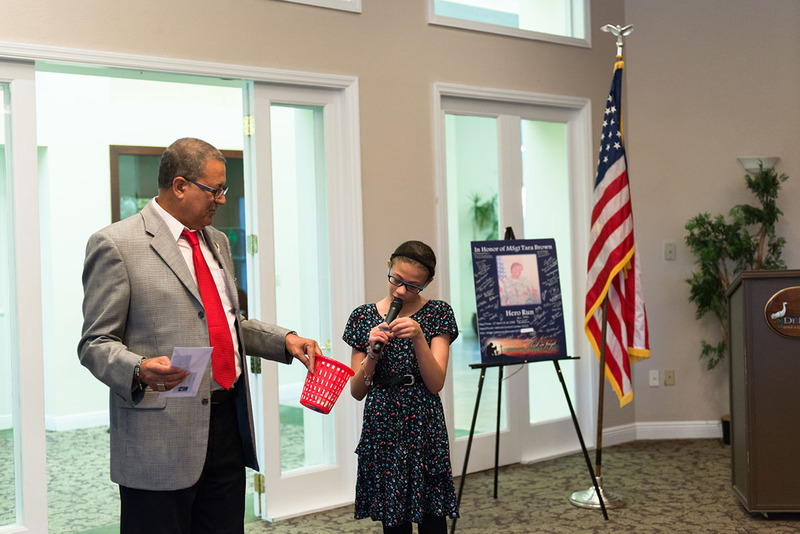 A special presentation was made on behalf of Congressman John Mica and a few words were shared by the Mayor of DeBary, Clint Johnson. 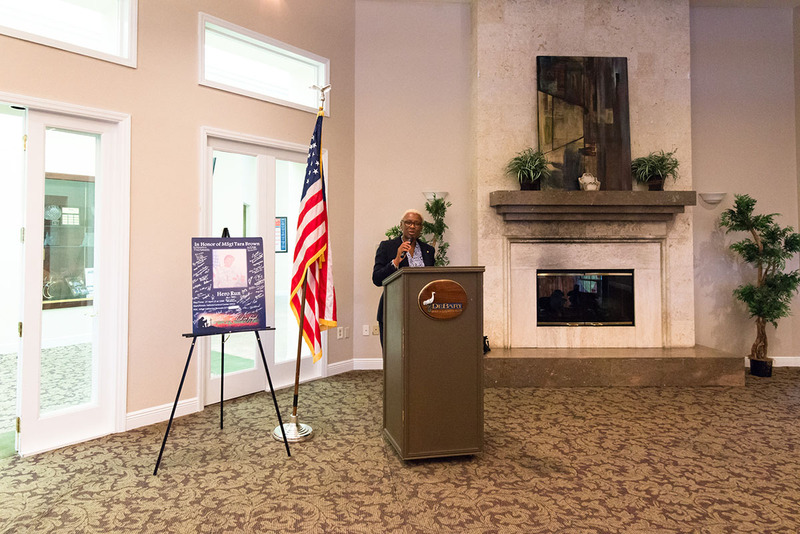 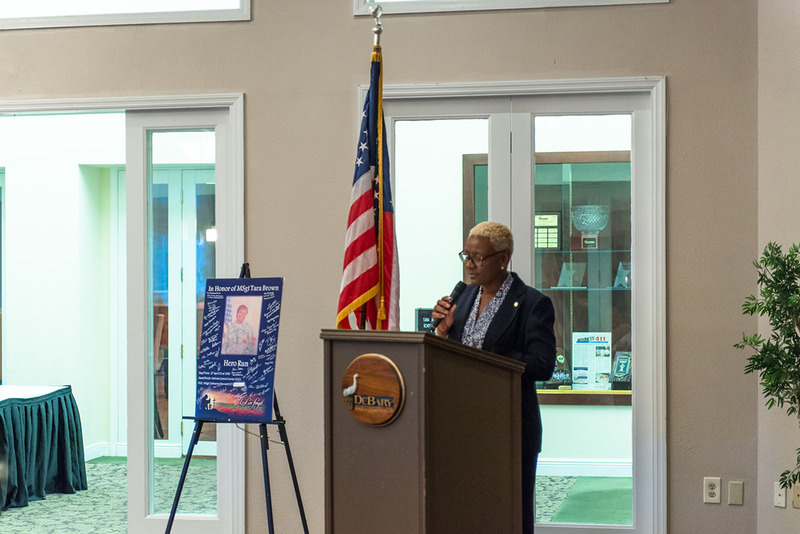 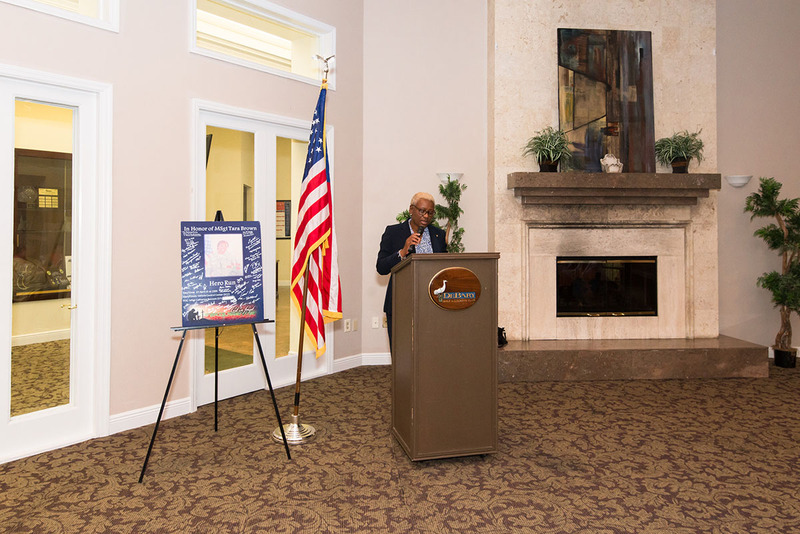 Guest speaker Tonia Rayford, retired from the U.S. Air Force having served in various capacities overseas, delivered a deep but encouraging speech in light of fallen heroes such as Tara Jacobs Brown and victims of tragedy such as those who were recently killed in Charleston, South Carolina. 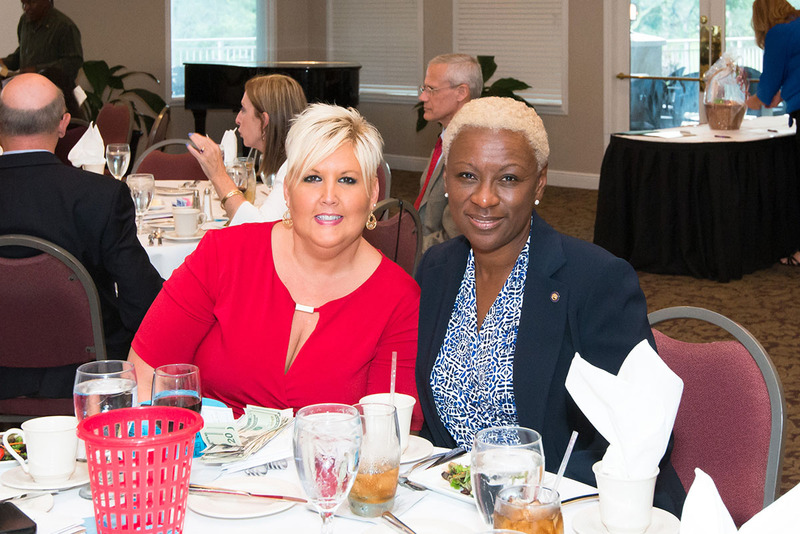 Ms. Rayford is currently working in Charleston, with her Master’s Degree in Clinical Social Work where she specializes in working with veterans challenged by Post Traumatic Stress Disorder (PTSD). 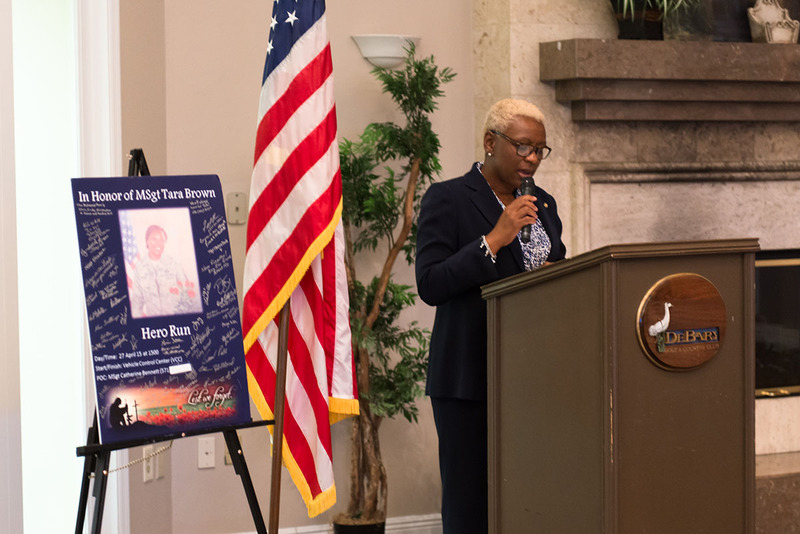 But rather than a somber memorial service, the event was a grand time of celebration, excellent dining and casual fun, in celebration of Tara’s life, her example, and the selection of those students who were chosen to carry on the legacy of Tara’s love for education. 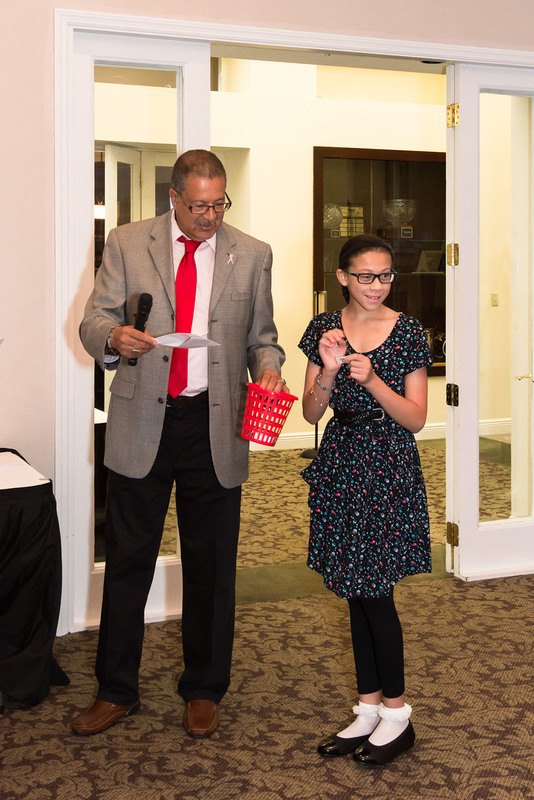 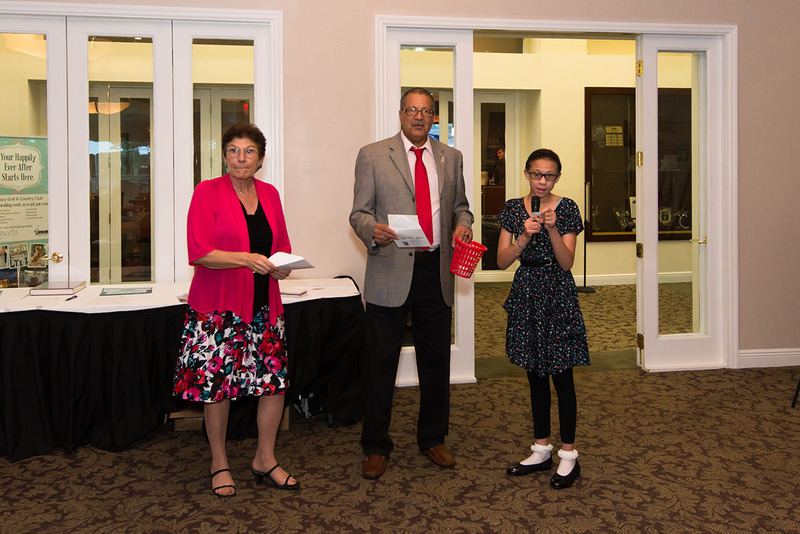 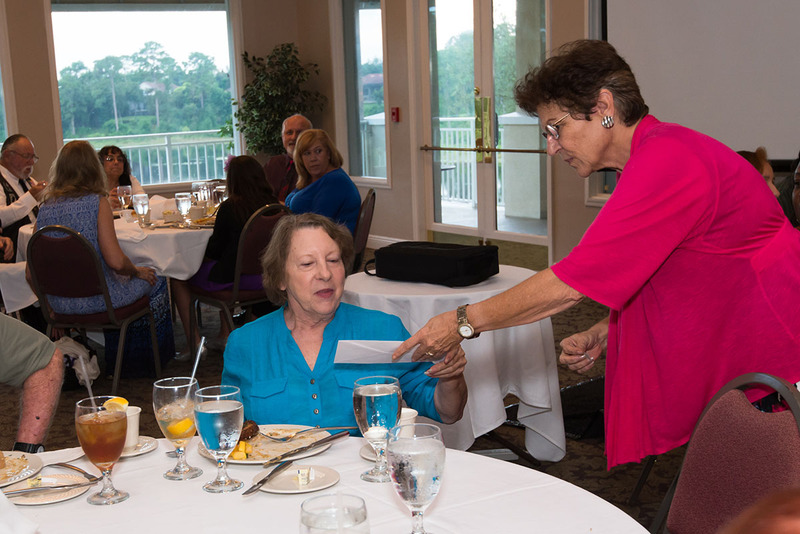 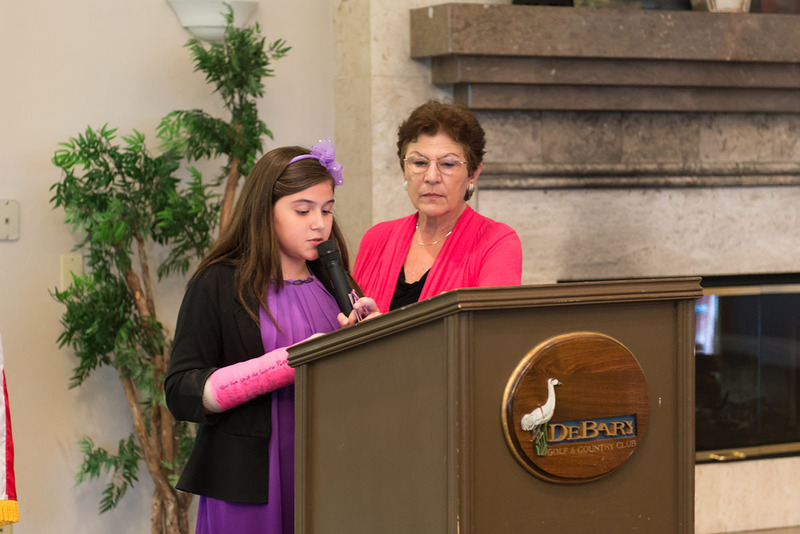 Elaborate prizes were donated for a silent auction as well as two raffles, awarding many winners with prizes worth hundreds of dollars that were won for mere fractions of their value. 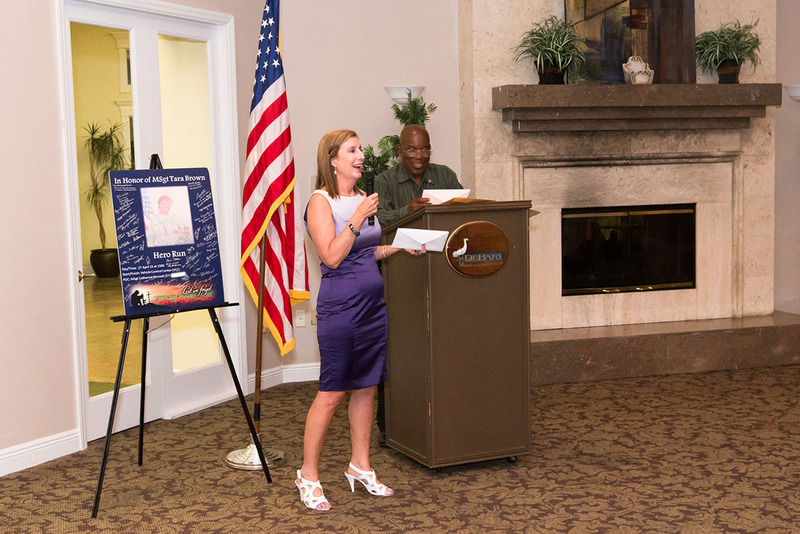 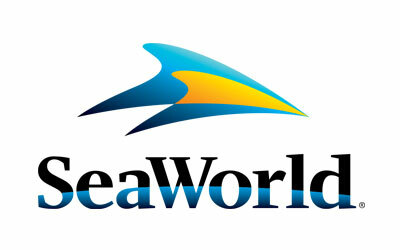 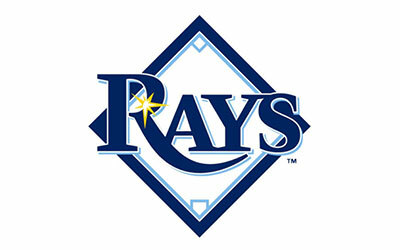 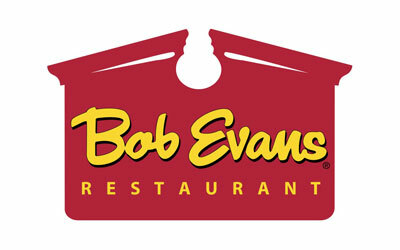 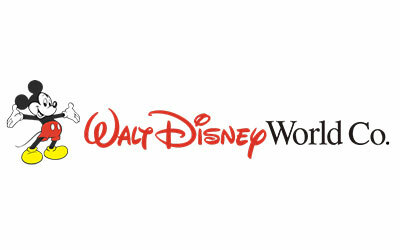 Some of the winnings included four tickets to major theme parks such as Walt Disney World and SeaWorld as well as other area attractions, golf packages for four at some of the most prestigious area resorts, a basketball autographed by the entire team of the Orlando Magic, autographed memorabilia from the Tampa Bay Rays, and many other valuable prizes. 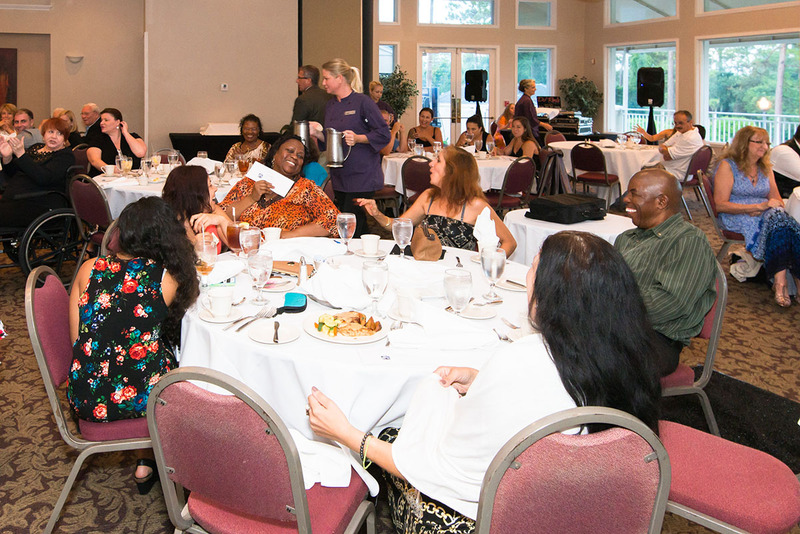 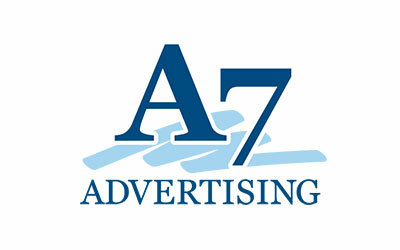 There was also a live auction for valuable packages which spurred some rowdy bidding at times with rounds of cheering and applause. 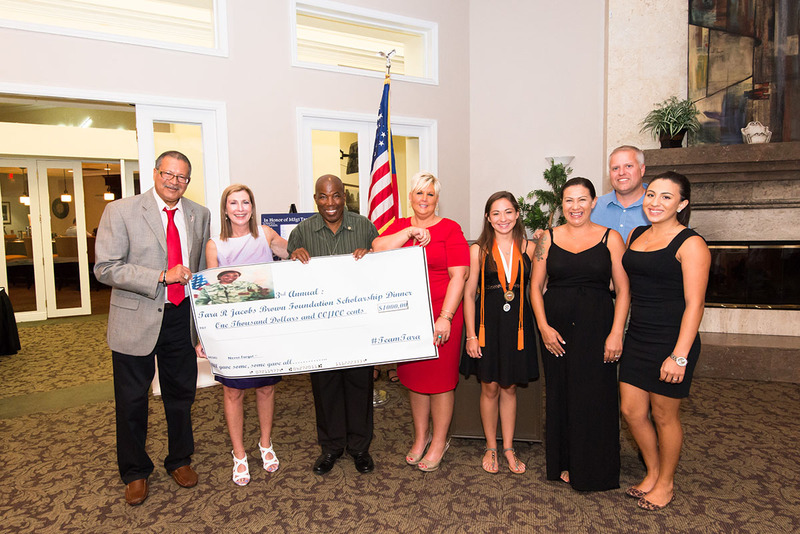 Thanks to generous organizations like the American Legion Riders Chapter 255, numerous local business donors, and the generosity of the attendees who cheerfully contributed with raffle ticket purchases and auction bids, the Tara Jacobs Brown Scholarship Foundation will certainly help more and more deserving students accomplish their college dreams.